AT THE BEGINNING of the sixteenth-century, Paris might not yet have been a great or particularly beautiful city – but it was big! With the decline of feudalism, population growth mushroomed, migration to cities increased and by the middle of the century, Paris, with its population of some 350,000 souls, had become the largest city in Europe. There were many casualties as a result of the growth and urbanisation of the population. Competing demands for resources usually meant that those with the lowest social status came off worst and children, particularly infants, being dependent rather than productive members of society, often came off worst of all. Infanticide was not uncommon and those who escaped that fate were often abandoned or deliberately maimed and sold as beggars. By the middle of the century the situation had become so bad that the Parlement de Paris decreed an obligation seigneuriale, meaning that nobles had to take the responsibility for the foundlings left in their domains – a decree often ignored. There were some attempts to alleviate the plight of abandoned children. In 1523, the Hôtel Dieu, the oldest hospital in Paris, began taking in foundlings and sick children although few, if any, survived to adulthood. In 1536, Marguerite de Valois, sister of François 1st, then King of France, founded a hospital and orphanage or, an orphan asylum as it was known, in rue du Grand Chantier, now part of rue des Archives in the Marais district, to take abandoned children from the Hôtel Dieu. Originally known as les Enfants de Dieu, the children, dressed in clothes made from red cloth as a symbol of Christian charity, quickly became know as les Enfants Rouges – the Red Children. Marguerite de Valois’ hospice des Enfants-Rouges survived until 1772 when it was merged with the Hôpital des Enfants-Trouvés, a foundling hospital created in 1638 by Vincent de Paul and, from 1670, an institution attached to the Hôpital général de Paris under the direction of the Parlement de Paris. Although the hospice des Enfants-Rouges no longer exists, its name still echoes close by. 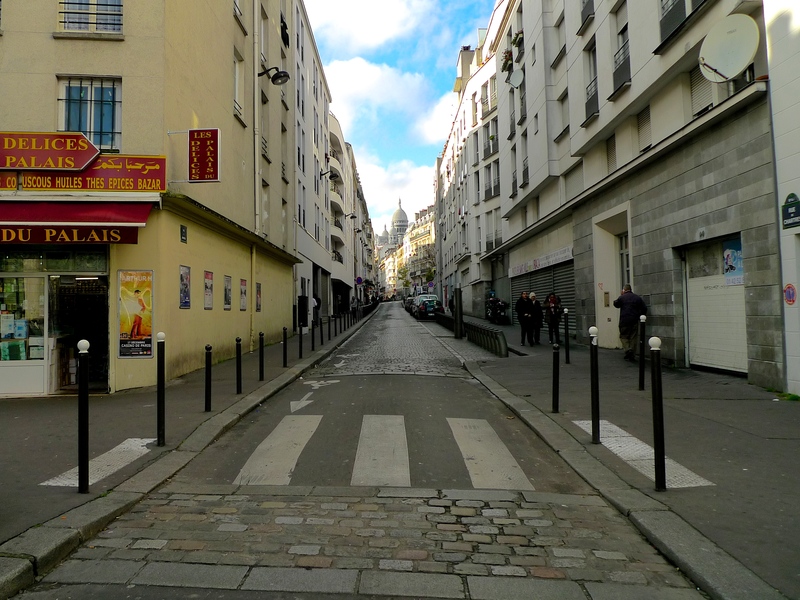 By the beginning of the seventeenth-century, the population around the hospice des Enfants-Rouges in the Marais was growing and so the King, Louis XIII, decided that a market was required to satisfy the growing demand for provisions. In 1615, land was bought and work began. Perceval Noblet, master carpenter to the King, was commissioned to build the Petit Marché du Marais comprising a wooden hall resting on 16 pillars of oak, with stables, a manure pit and a well. 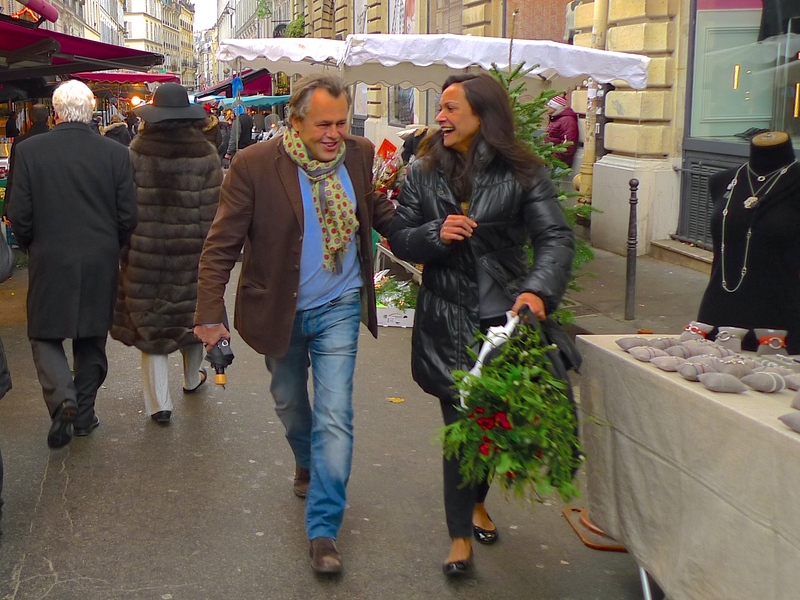 The market thrived and was subsequently expanded becoming the Marché du Marais du Temple. When the hospice des Enfants-Rouges merged with the hôpital des Enfants Trouvés in 1772, the orphanage in rue du Grand Chantier was closed but its memory lived on and the local residents decided that the Marché du Marais du Temple should be renamed, Marché des Enfants-Rouge. And action by local residents was not confined to the 1770s. In 1912, the market was bought by the City of Paris and, although being listed as an historical monument in 1982, local residents were called to action in the 1990s to prevent it being turned into a car park! 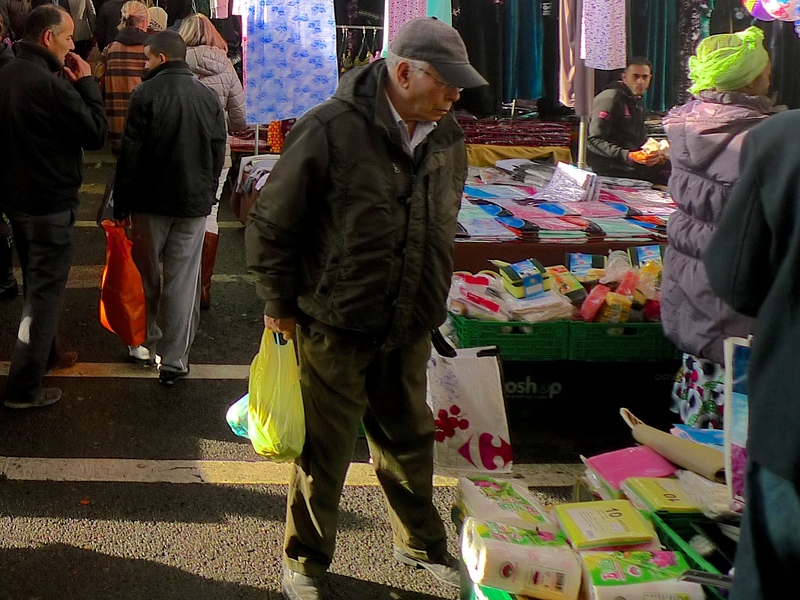 Reason prevailed though and following a six-year closure the market was reopened in November 2000. 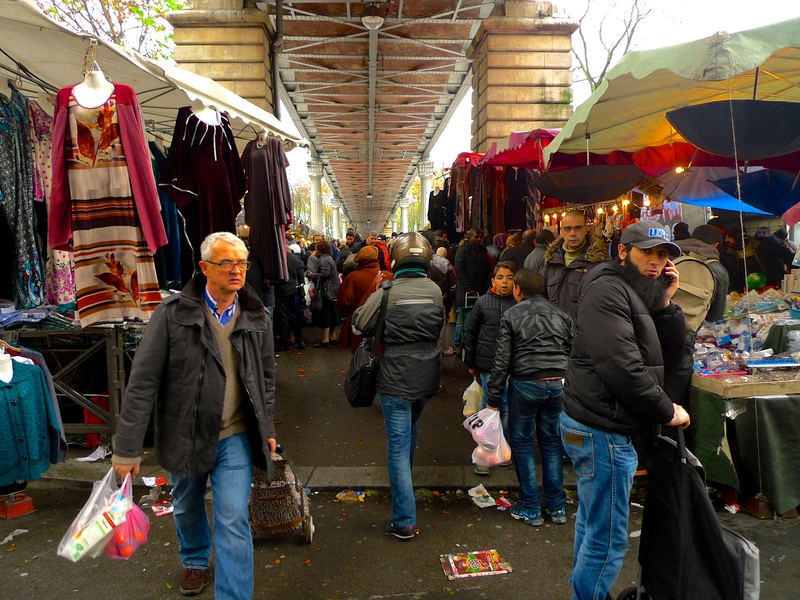 Although not the biggest and perhaps not the best market in Paris, the Marché des Enfants-Rouges does have the distinction of being the oldest market in the city. 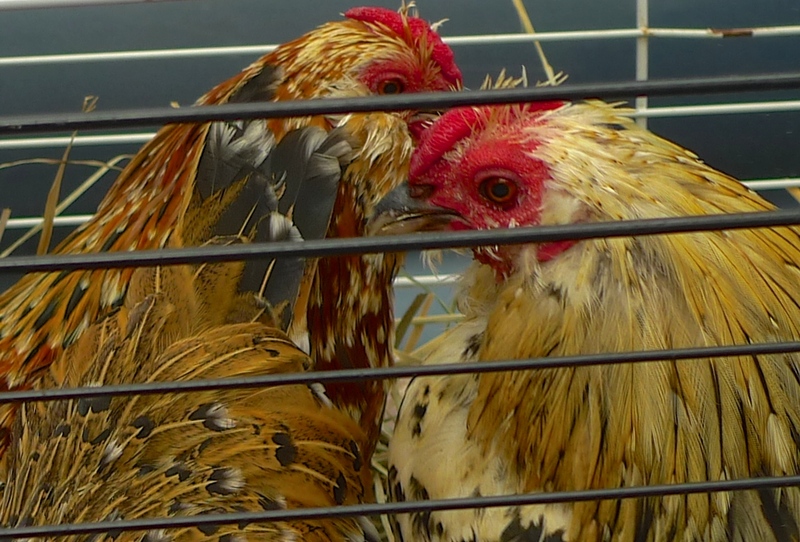 While selling fresh fruit, vegetables, seafood, organic food, bread and flowers, its popularity today rests less on its fresh food stalls than with its reputation as a dining destination. 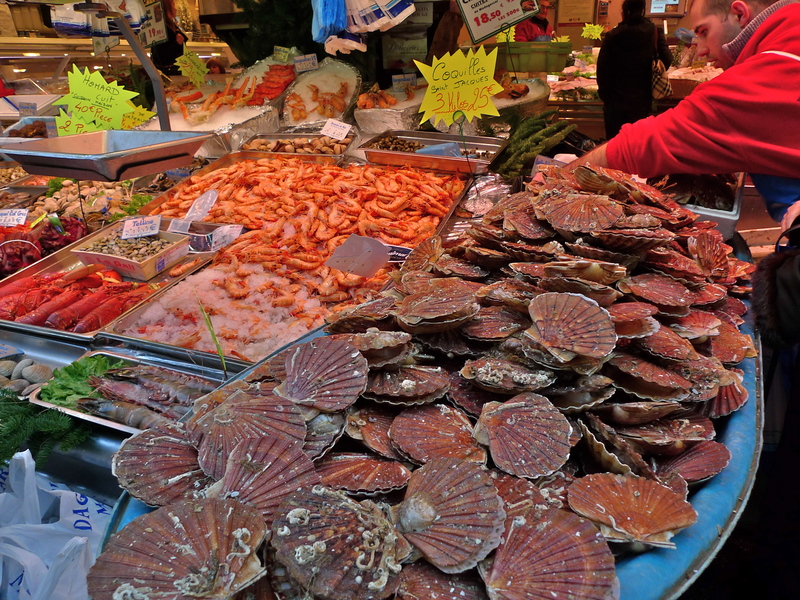 The range of food on offer is enormous, from the bistro, L’Estaminet des Enfants Rouges, with its oysterman outside shucking bivalves, to a variety of stalls offering Moroccan, Italian, Lebanese, Japanese, and Organic dishes to take away or eat at the communal tables ‘sur place’. 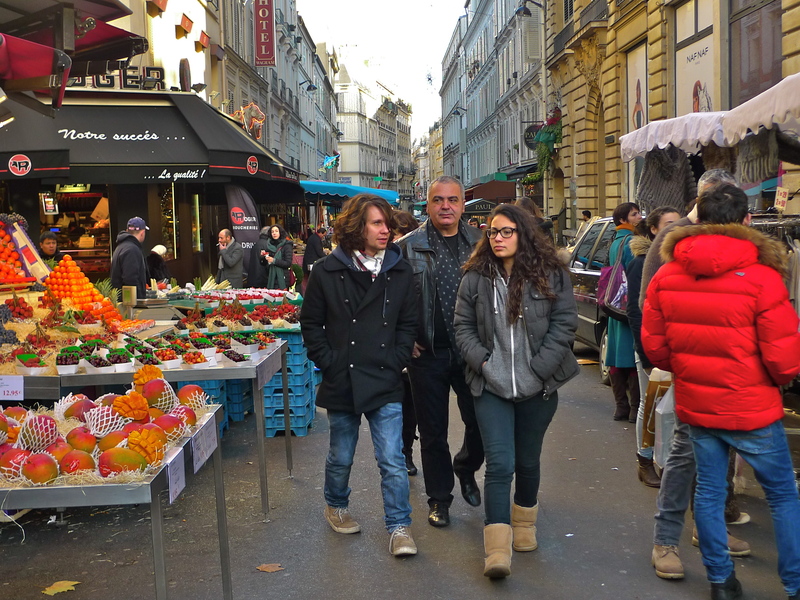 The Marché des Enfants-Rouges is a huge attraction in the hip Haut Marais area of Paris. But when I go there I always stop to look at the painting on the wall of the little orphan in the red dress and I’m always reminded that she would have found such abundance unimaginable. 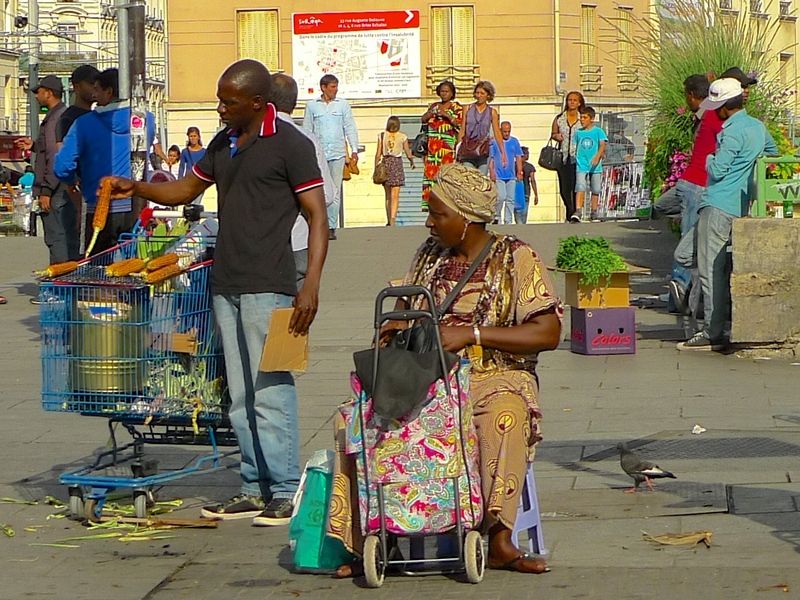 MARKETS HAVE BEEN a feature of Saint-Denis since the seventh century. Then the markets were held at Place Panetière, in front of the Basilique de Saint-Denis, the Royal Necropolis of France; final resting place of 42 kings, 32 queens, 63 princes and princesses and 10 great men of the realm. In the 12th century, Abbot Suger, abbot of Saint-Denis, spoke of Place Panetière as a place where “everything to buy or sell may be found”. 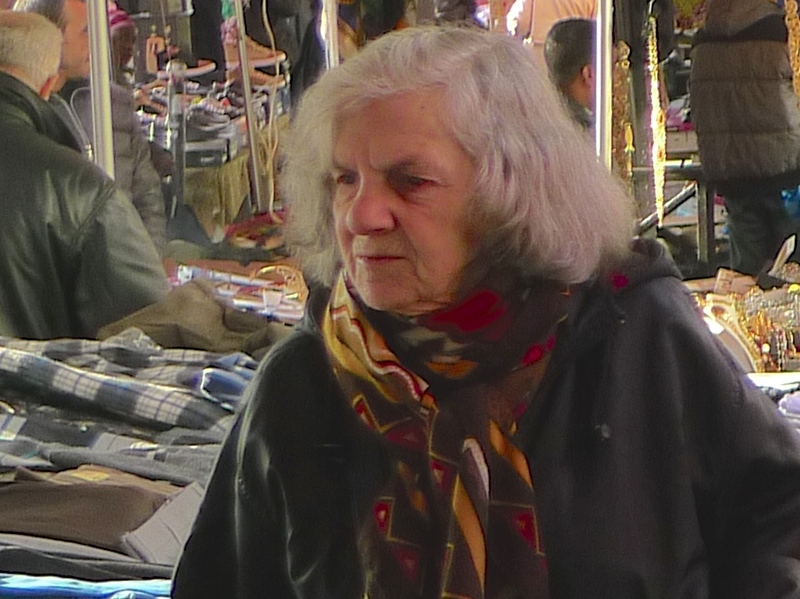 Today, Place Victor Hugo and Place Jean-Jaures occupy the former Place Panetière but the markets have survived and nothing much has changed – everything to buy or sell may be found. 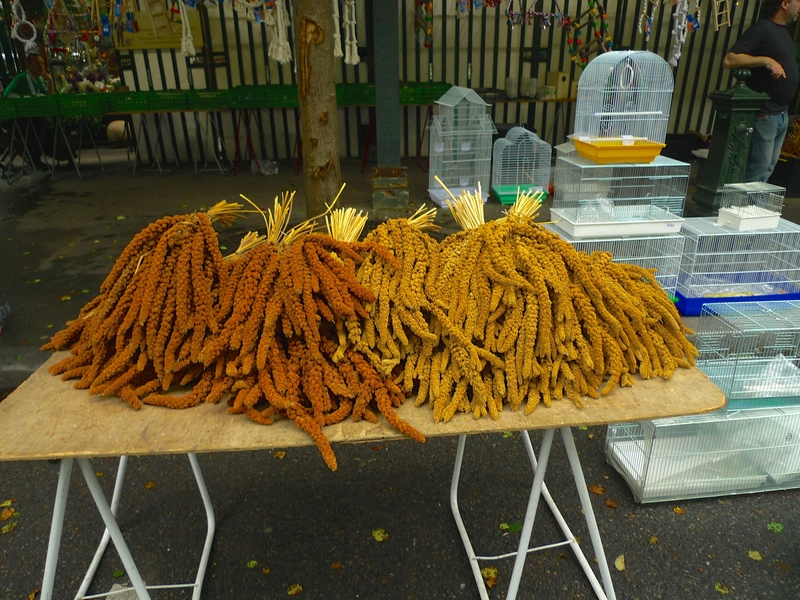 Every Tuesday, Friday and Sunday an indoor market, housed in the 19th century Grande Halle, opens for business and an outdoor market appears on Place Jean-Jaures and in the surrounding streets. 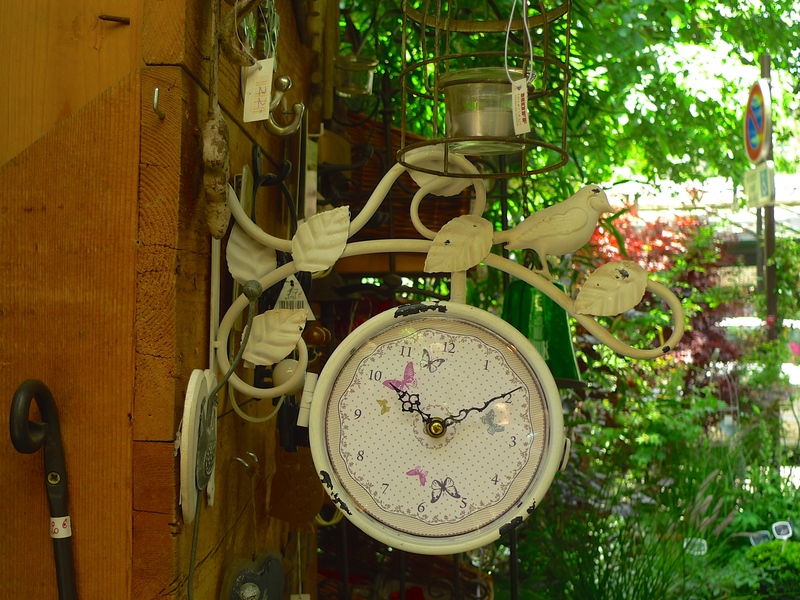 The outdoor market is rather like an African souk selling everything from clothes and fabrics to a range of footwear, cosmetics, bags, clay cooking pots and other assorted household goods, tools and plants, as well as some high-end, branded goods at suspiciously low prices. 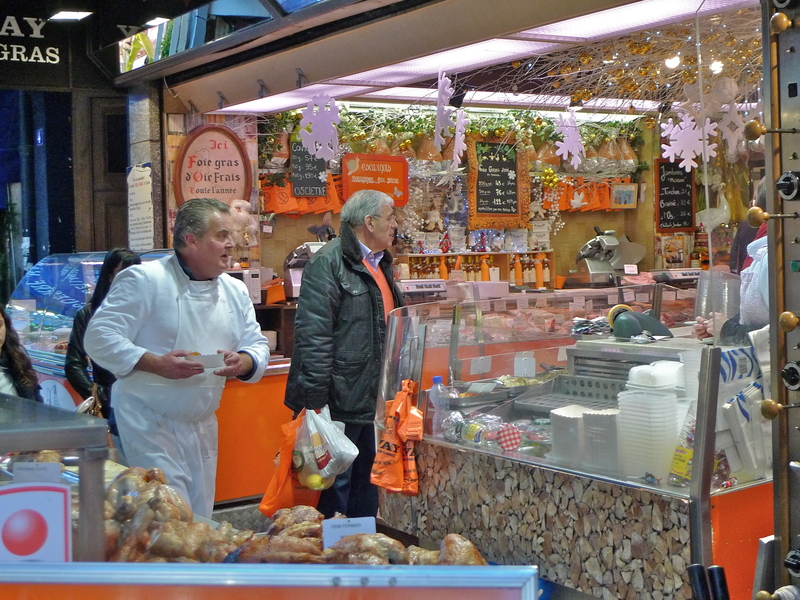 But for me, the indoor market inside the Grande Halle is the main attraction. 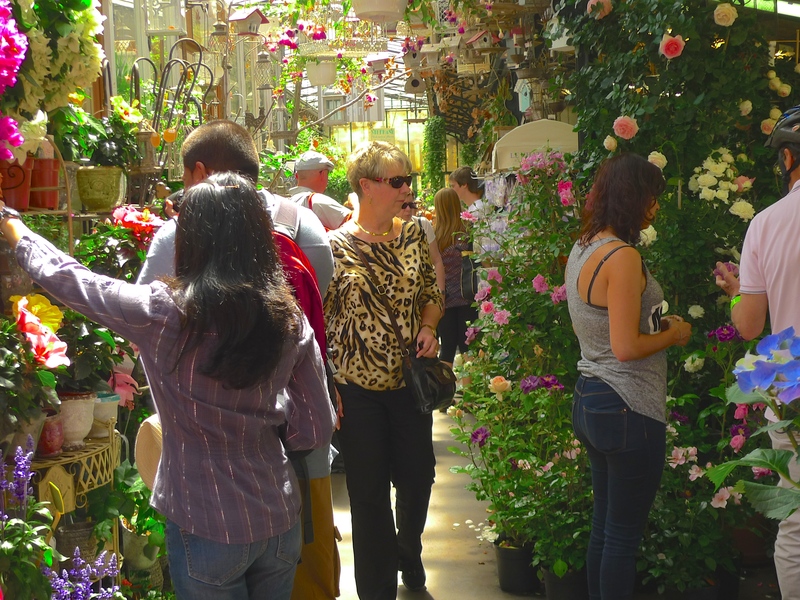 With its sights, sounds and exotic smells, visiting the Grande Halle is a multi-sensory experience not to be missed. To get to the Grande Halle I passed a man on the street selling boxes of what he claimed were top-of-the-range perfumes, Givenchy, Dior etc., for knock down prices and a fascinating lady selling couscoussières. 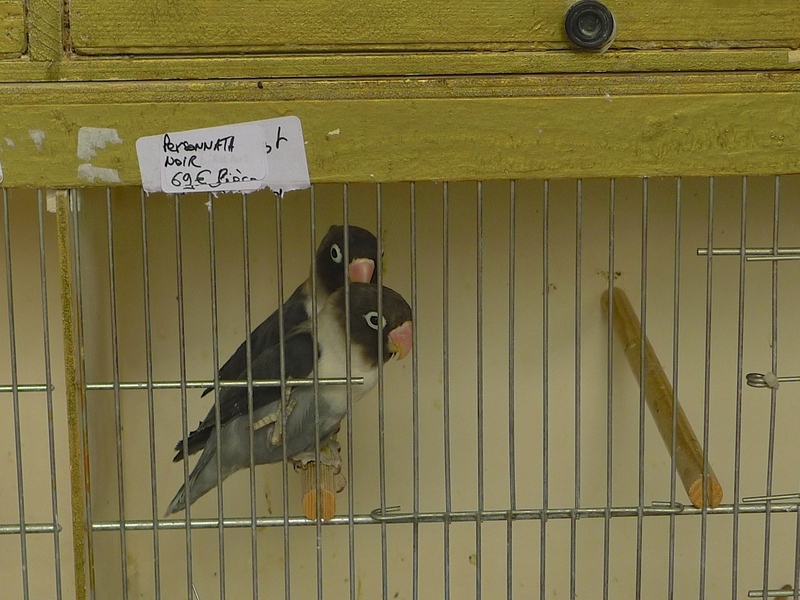 I stopped to listen to their sales patter, which you can hear in my sound piece. Although tempted, I did though decline an invitation from another stallholder to buy a ‘genuine’ Longines watch for the bargain price of six Euros! The Grande Halle is a food market but it’s also a microcosm of French history, gastronomy and successive waves of immigration and the sounds inside the Grande Halle reflect this cultural kaleidoscope. 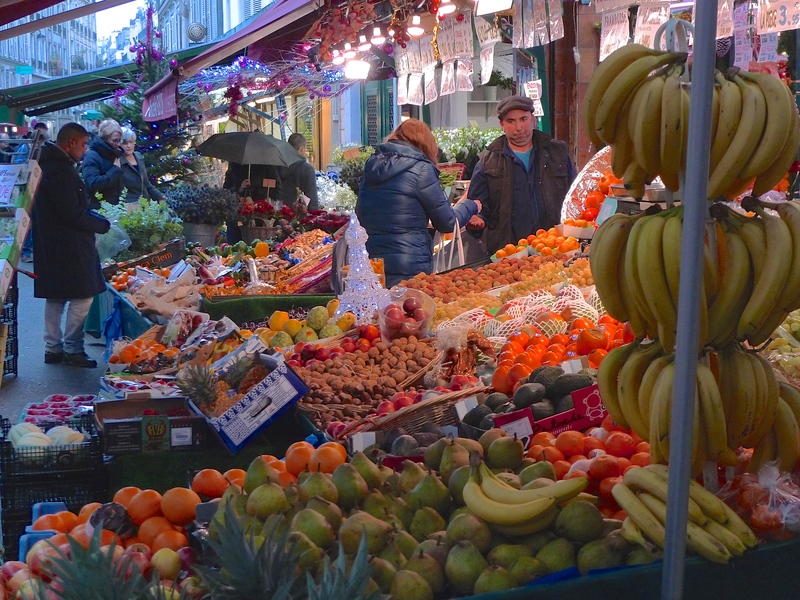 Produce from France, Italy, Portugal, Spain and North Africa sits beside Caribbean cooks, spice sellers from Morocco, magnificent displays of fruit and vegetables from around the world and even more exotic fish. 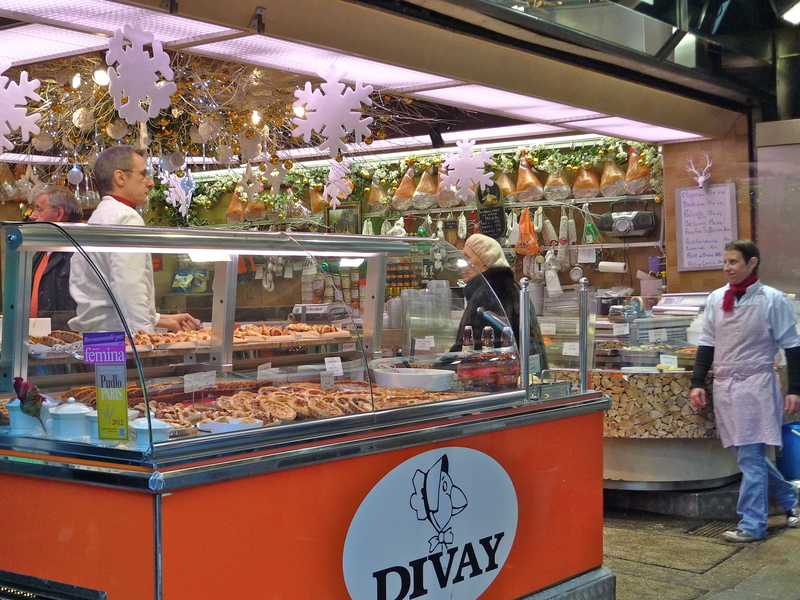 The butchers, including Halal butchers and a horse butcher, sell conventional cuts of meat as well as tripe and meat you won’t find in the swanky shops in the centre of Paris including pig’s heads, feet and everything in between. Nothing goes to waste. 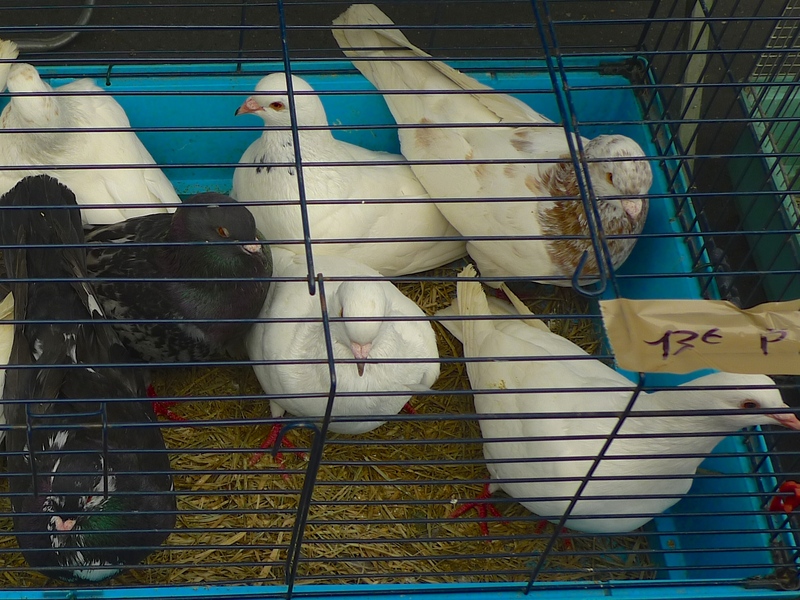 Sunday is the busiest day at the market when whole families turn out to hunt for bargains and they seldom leave disappointed. 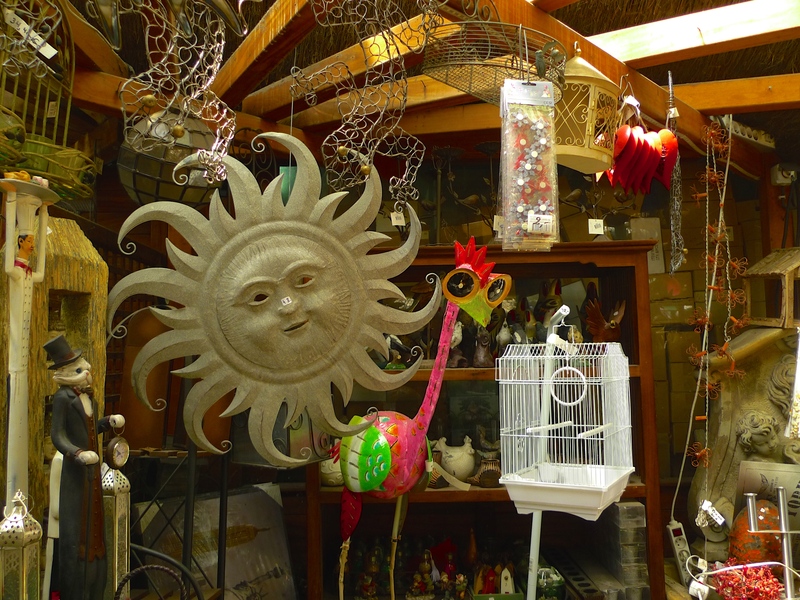 Just as in Abbot Suger’s day, everything to buy or sell may be found. MY LAST THREE POSTS on this blog have had a connection to the attacks in Paris on 13th November. Although I will never forget watching the terrible events unfold on that Friday evening or the anguish of the aftermath, it’s now time to move on – at least as far as this blog is concerned. My local Christmas market opened last Saturday. 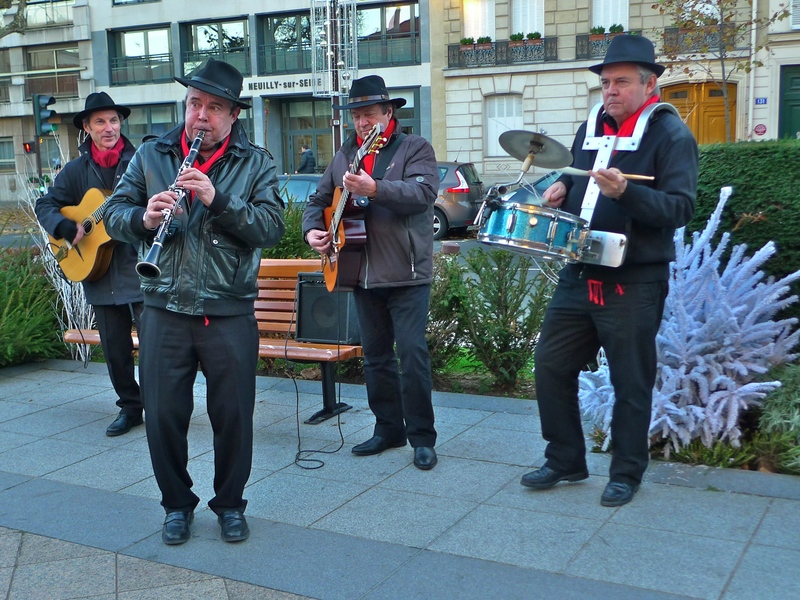 Although small, it’s my favourite Christmas market because as well as the displays of artisanal products, a nineteenth-century carousel and children’s entertainers, it also features excellent street musicians. Last Sunday this Dixieland jazz quartet took centre stage. Dixieland Jazz Quartet – Plus One! 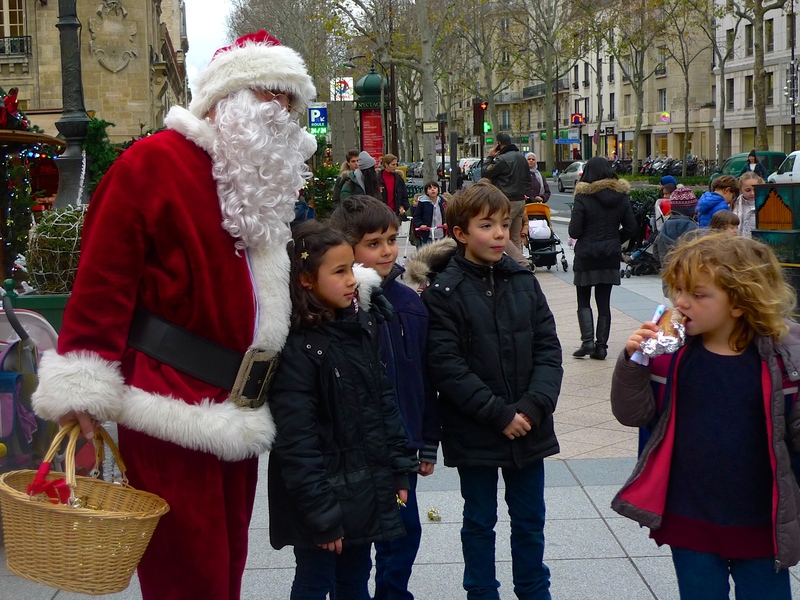 ONE WEEK AGO, on the afternoon of Christmas Eve, I emerged from the overcrowded retail emporium, La Fnac, into the Avenue des Ternes in the 17th arrondissement. 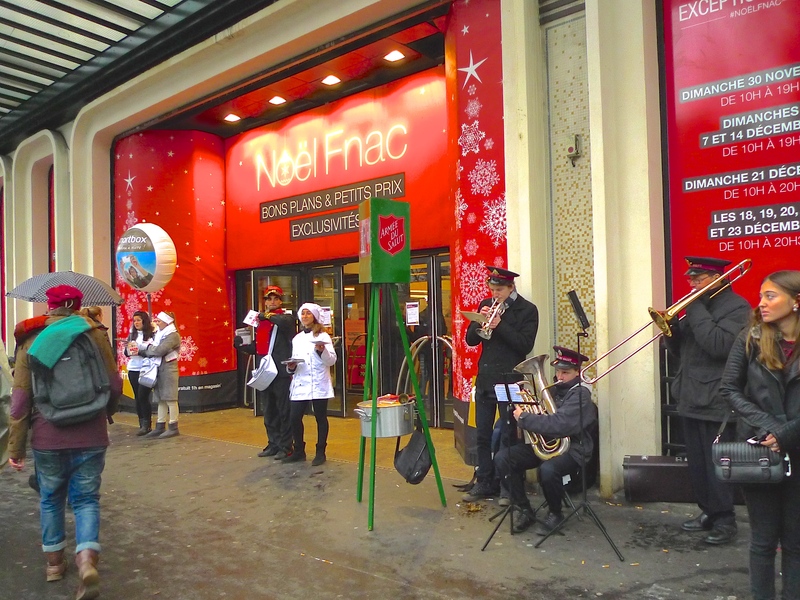 Outside the store I found a brass trio from the Armée du Salut (the Salvation Army) braving the cold to give their rendition of some popular Christmas carols. 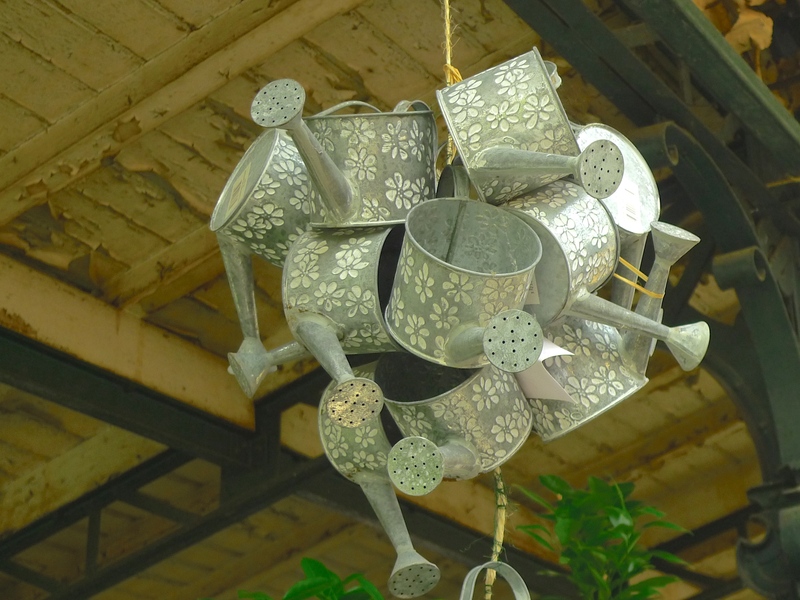 I stopped to listen to them and then, after leaving a contribution in their collecting tin, I walked round the corner into one of my favourite Parisian street markets, the Marché Poncelet. 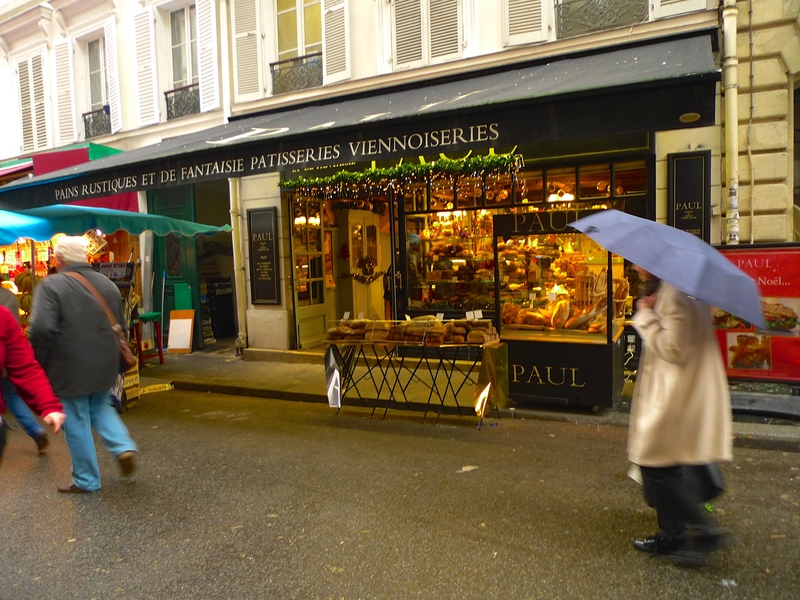 Within a stone’s throw of the Arc de Triomphe, the Marché Poncelet occupies part of the Rue Poncelet and the Rue de Bayen. Around its edges you can find stalls selling flowers, chocolates, clothes, household goods, jewellery, trinkets and souvenirs but at its heart is the fresh food, the fruit, vegetables, seafood, artisan cheese and freshly baked bread that really makes this market so popular and gives it the reputation of being one of the best food markets in Paris. 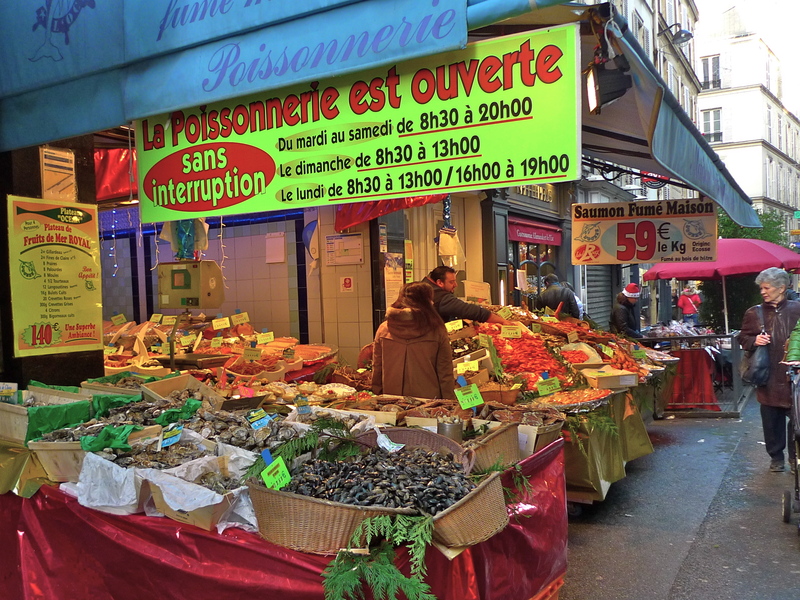 As well as the colourful cornucopia of fresh food and other goods on display, the Marché Poncelet also boasts a fascinating soundscape. 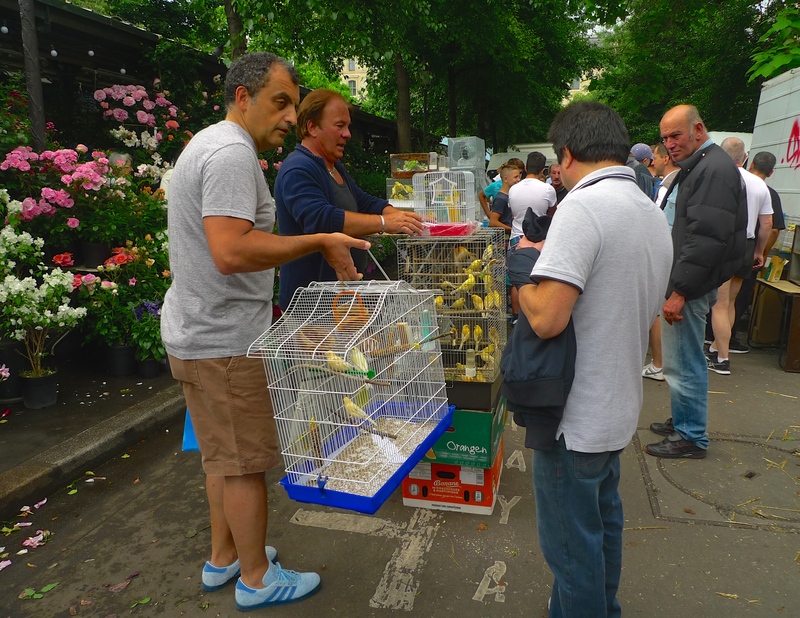 Like in most markets, the stallholders here are not shy about advertising their wares by shouting to attract the attention of customers but this market is in the centre of Paris and so, unlike many of the markets at the periphery of the city, the language here is exclusively French. 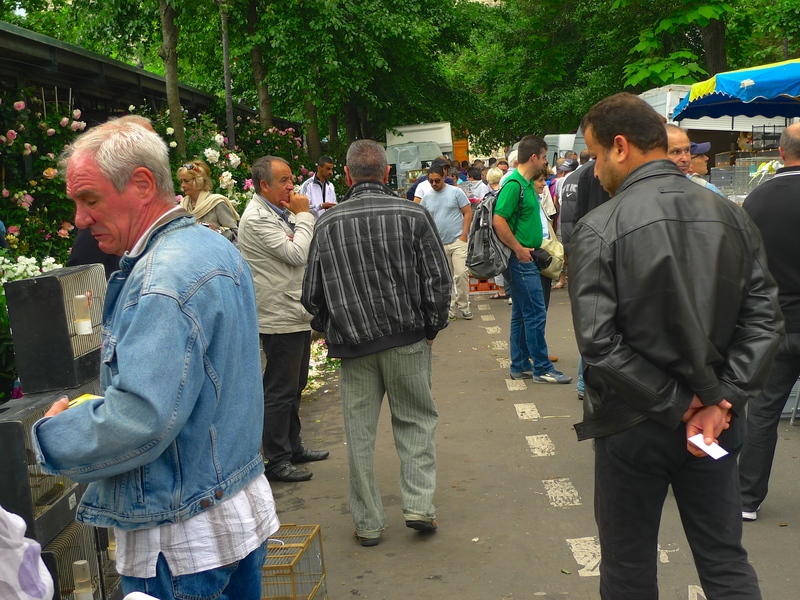 Compare for example, the sounds of this market with the sounds of the Marché Barbès I recorded a few weeks ago where French is barely spoken at all. Exploring how the soundscape of the city changes from the centre to the periphery is one of the things I find endlessly fascinating about exploring the sounds of Paris. 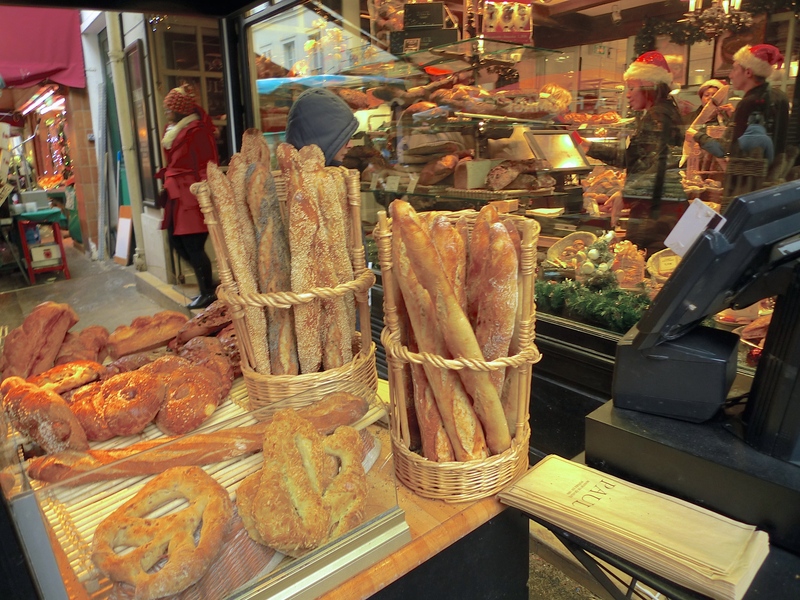 The Marché Poncelet takes its name from rue Poncelet, which was named after the French engineer and mathematician, Jean-Victor Poncelet (1788-1867). Poncelet’s most notable mathematical work was in projective geometry, in particular, his work on Feuerbach’s theorem. He also made discoveries about projective harmonic conjugates among which were the poles and polar lines associated with conic sections. These discoveries led to the principle of duality and also aided in the development of complex numbers and projective geometry. 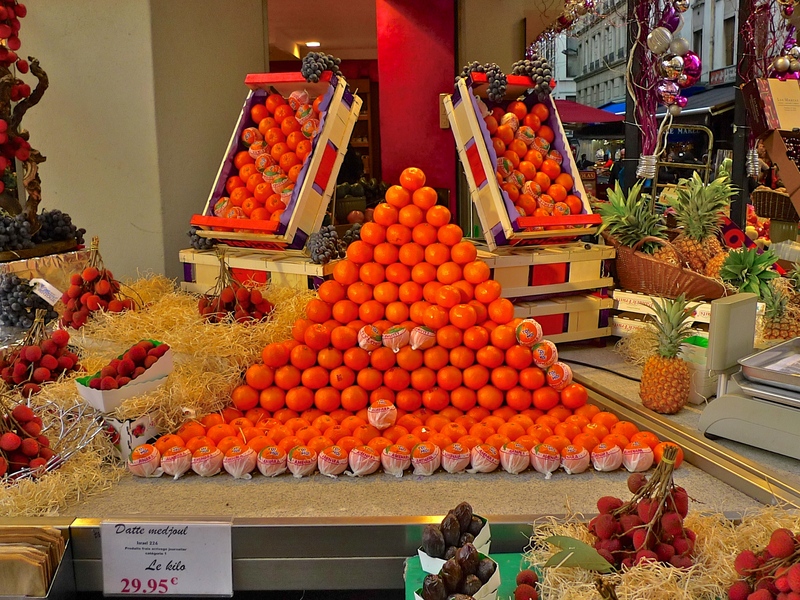 Of course, Poncelet’s mathematics is all gobbledegook to me but maybe the vendor in the picture above is on to something with his clémentines arranged geometrically. 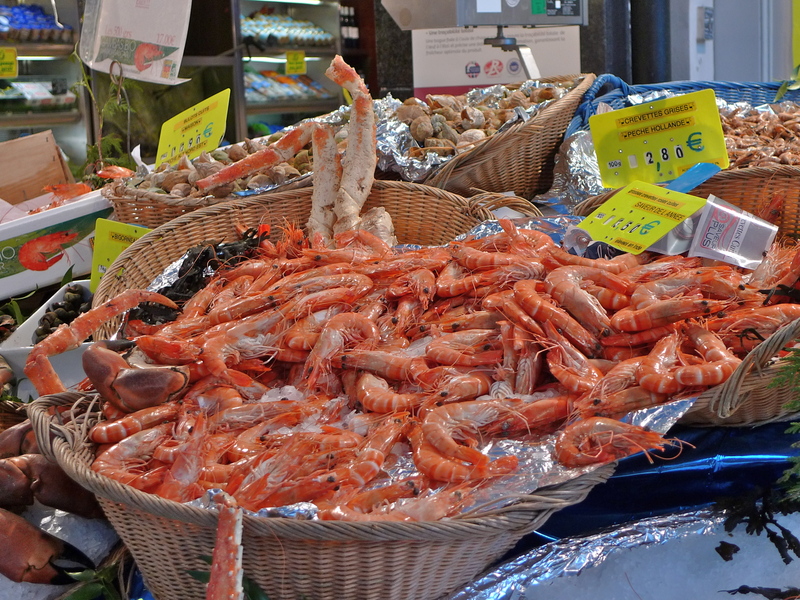 The Marché Poncelet should certainly be on your ‘to-do’ list if you’re in Paris and once there, I recommend that you stop off at Daguerre Marée, which just has to be one of the very best seafood shops in town! 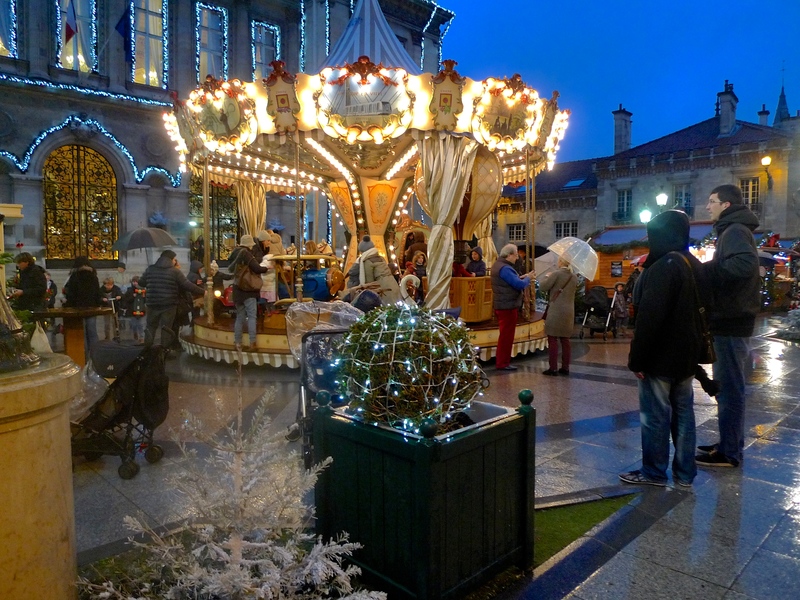 IT’S THAT TIME OF year again and Paris is awash with its annual Christmas markets. 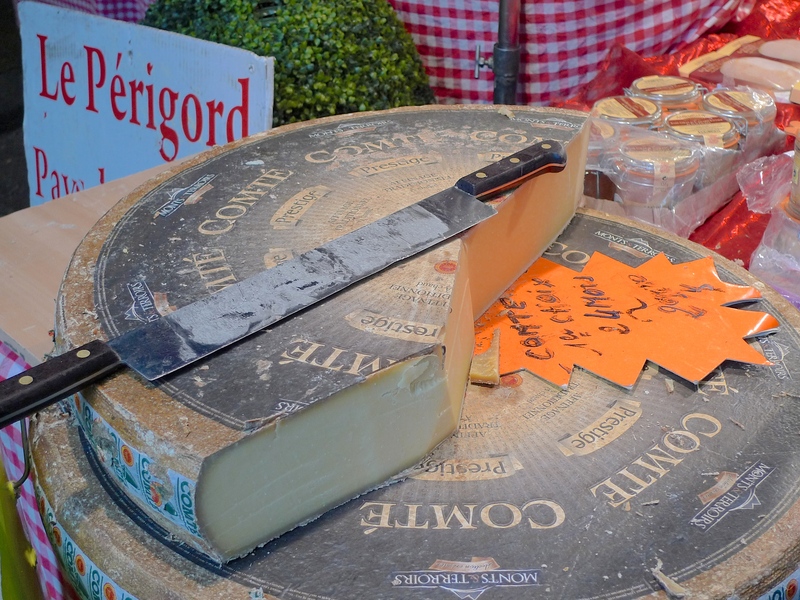 This year, I’ve only explored two of these markets, the enormous one at La Défense and the one on my own doorstep, which is small, intimate and always a delight. My local Christmas market comprises thirty wooden châlets set out on Place de l’Hôtel de Ville and stretching down to the nearby church. These châlets host some exhibitors who come every year but also some new ones from different regions. 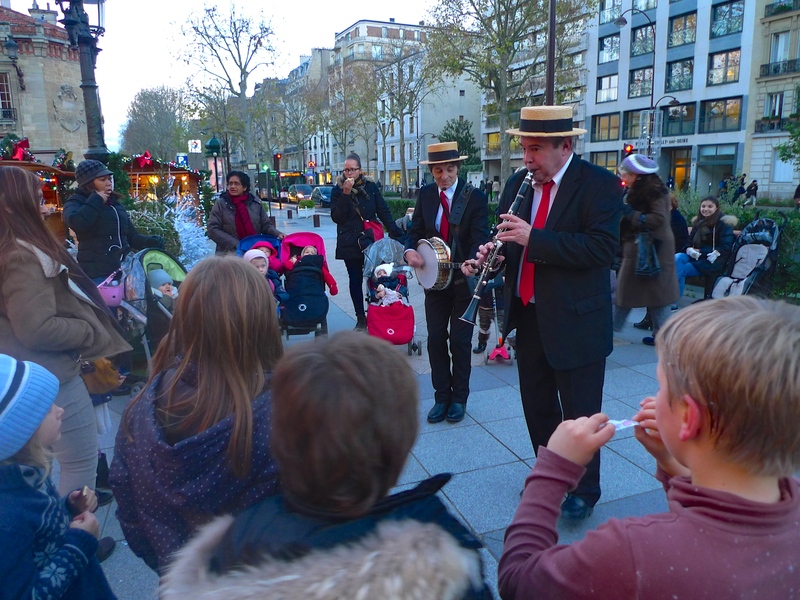 As well as the châlets with their gourmet foods and a variety of craft goods, there are the entertainers; a professional storyteller, a make-up artist, a balloon sculptor, magicians, clowns, jugglers and, of course, the street musicians. 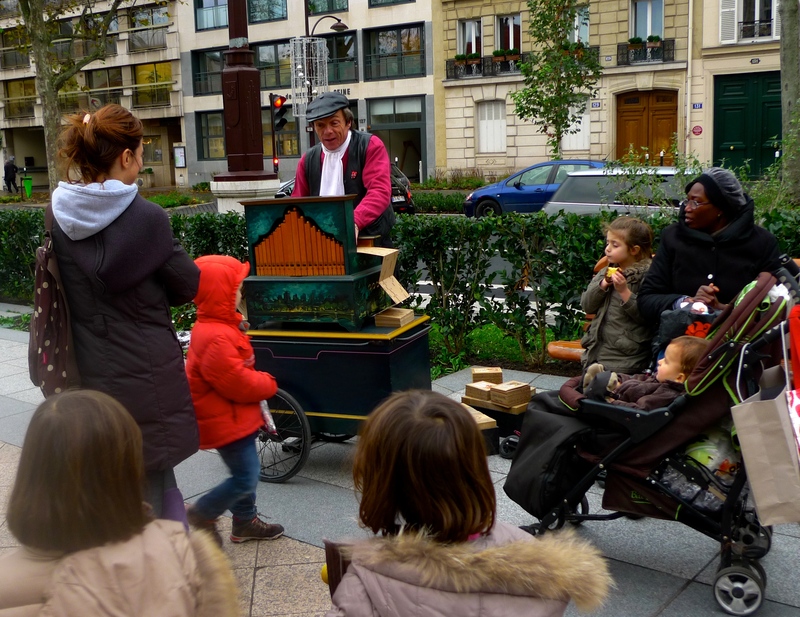 This year we’ve been entertained once again by Alexandre l’Agodas: The pedlar of dreams and his barrel organ. And, as well as Russian Cossacks with traditional Russian music, we’ve had a Dixieland jazz quartet and a very impressive jazz duo. 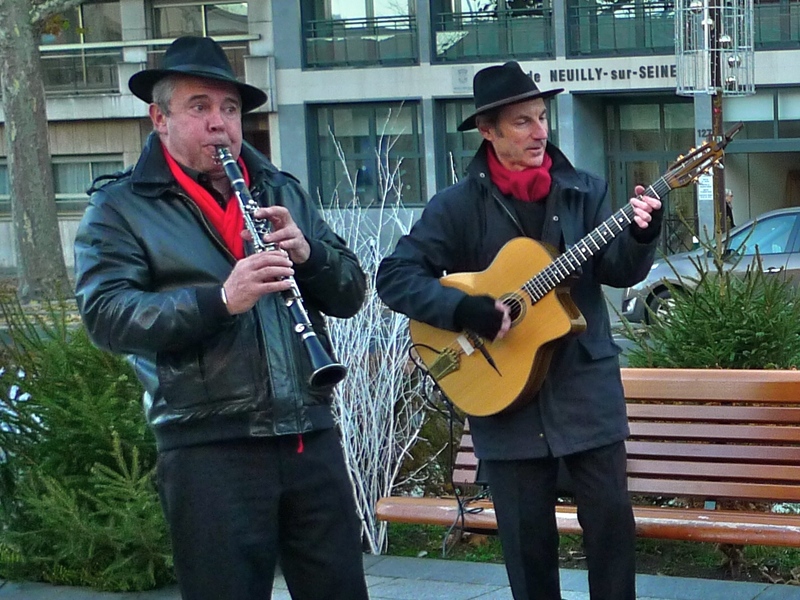 But my favourites this year were the jazz quartet, Swing Manouche. As their name suggests, Swing Manouche play in the gypsy swing, or gypsy jazz, style associated with Django Reinhardt in the 1930’s. Because this style largely originated in France it’s often called by the French name, ‘Jazz Manouche’. And since I think that Django Reinhardt was a genius I was delighted to be able to record ‘Swing Manouche’ playing in my neck of the woods. 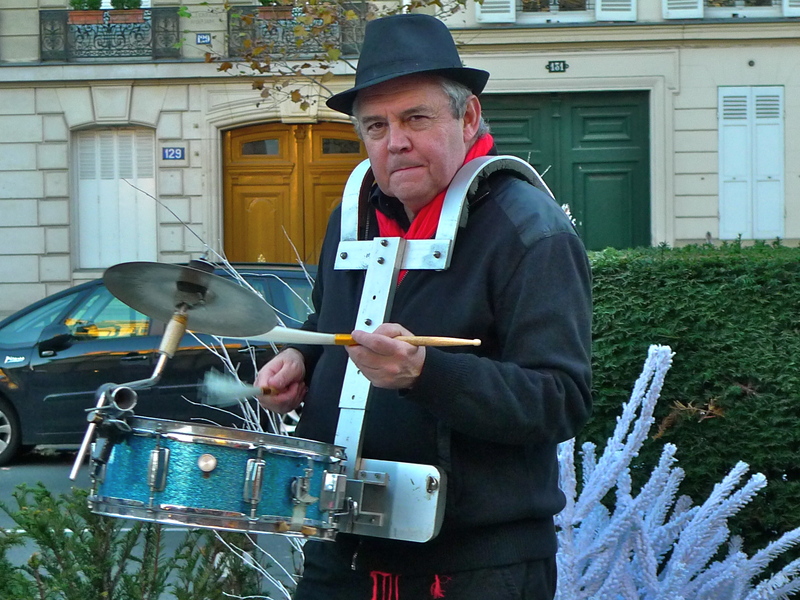 The three pieces I recorded of ‘Swing Manouche’ playing ends with a French Christmas favourite, Le Petit Papa Noël, which leads me neatly into wishing all of you who follow this blog regularly, as well as those who drop by as they’re passing, a very Happy Christmas and all you wish for yourselves in 2015. STRETCHING ALONG THE Boulevard de la Chapelle from Barbès Rochechouart Métro station to rue de Chartres, the Marché Barbès is not for the faint hearted. 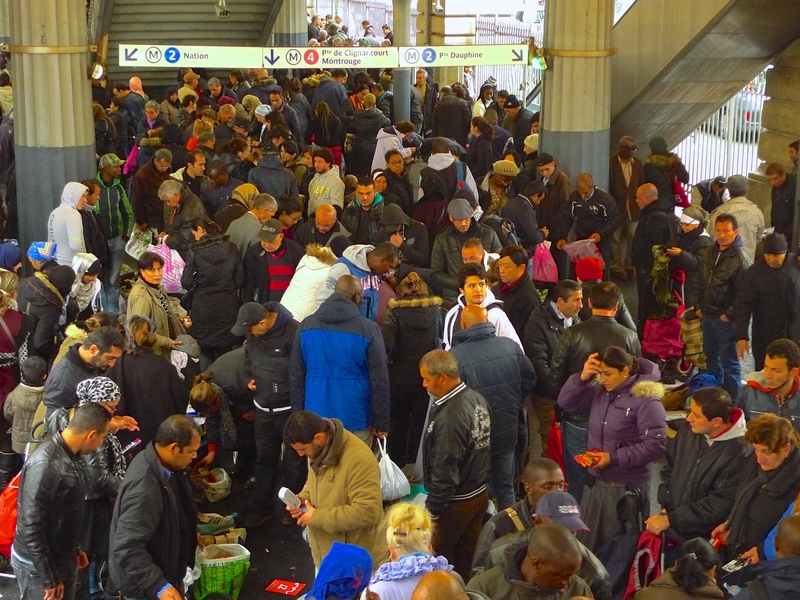 Even getting to the market can be a challenge since some of the market often spills over into the Métro station itself. 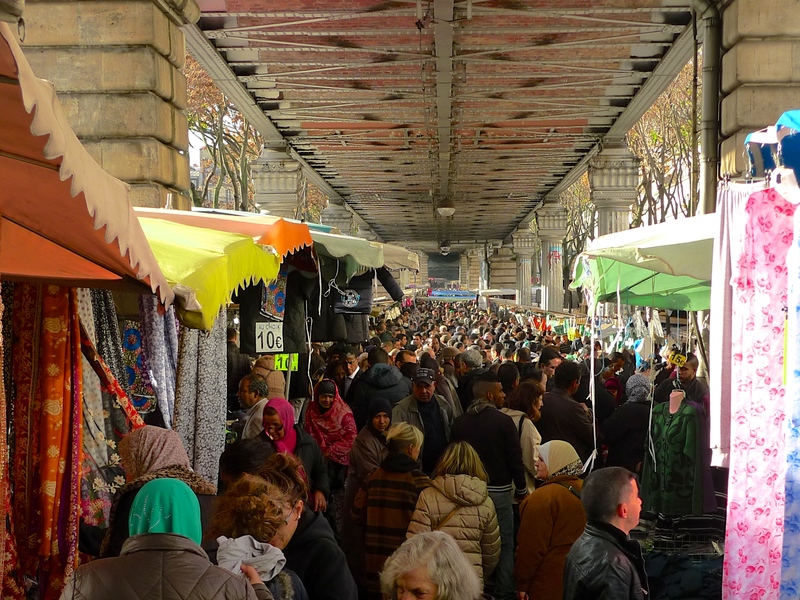 From 08.00 to 13.00 on Wednesdays and from 07.00 to 15.00 on Saturdays, the Marché Barbès appears under the overhead section of Métro Line 2 and if you’re looking for a leisurely market with lots of personal space, then the Marché Barbès is not for you. An assortment of stalls selling clothes, shoes, jewellery and assorted trinkets are clustered at either end of the market but most of the stalls in between are awash with fruit, vegetables, meat and fish. From end to end, a multi-ethnic sea of people moving at a snail’s pace, or sometimes not moving at all, fills the market. Getting close to a stall to actually buy something requires grit and determination, not to mention judicious use of the elbows. But the effort can be worth it. 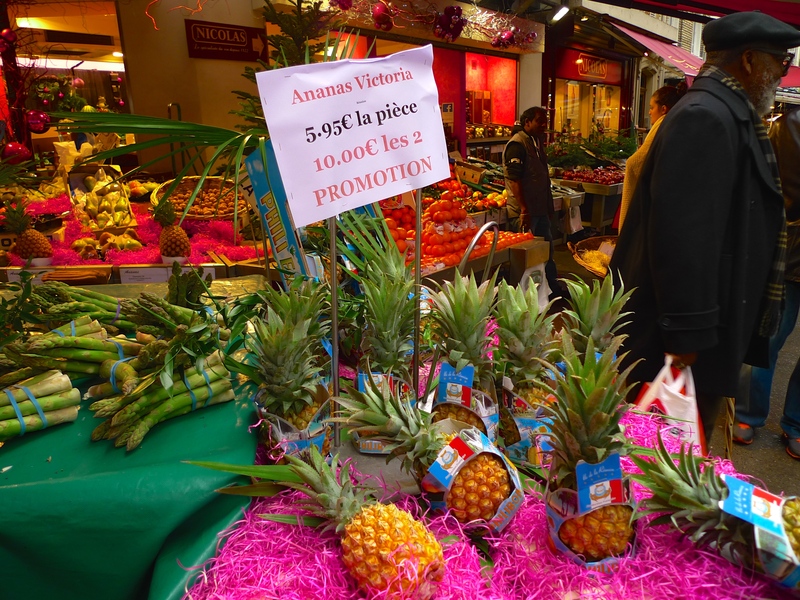 Not only is this perhaps the busiest market in Paris it’s also one of the cheapest where most of the fruit and vegetables seem to sell for €1/kilo. 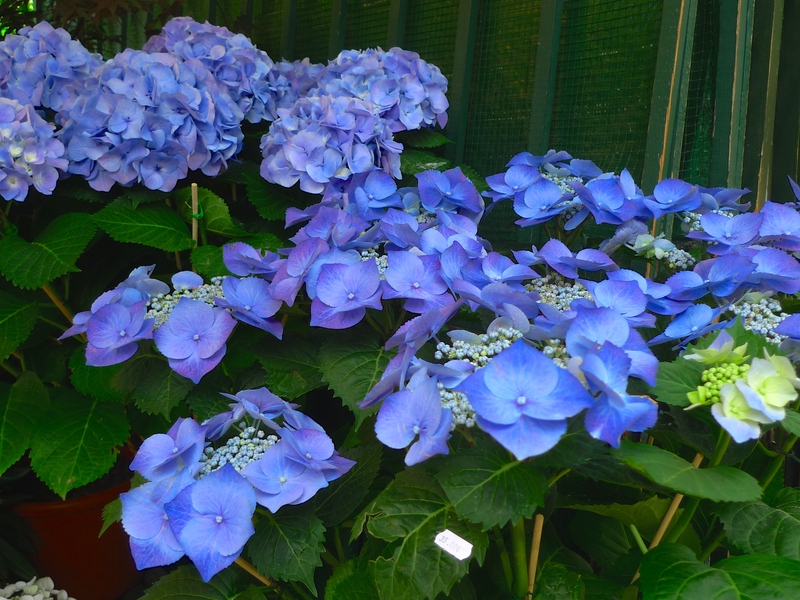 A running commentary of what’s on sale and for how much resonates around the market as the stallholders cry out vying to outdo each other to catch the attention of customers from the passing tide of people. All this of course, together with the Métro trains running overhead, makes for a fascinating sound tapestry and so I set off to capture it. 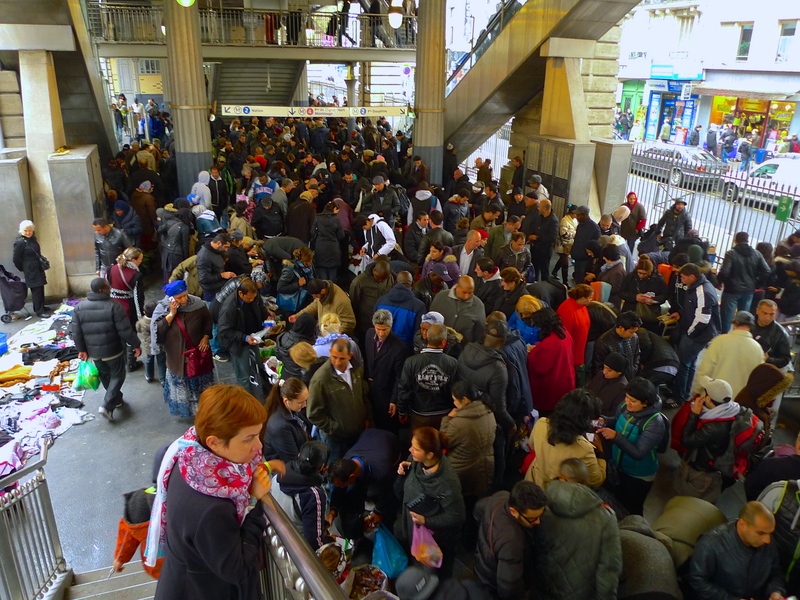 Having negotiated my way through the crowd inside the Métro station, I plunged into the throng of people across the street at the head of the market and set sail through what felt like a tsunami of people. Progress was slow and not without incident, but I made it to the other end more or less unscathed although the relative calm of the rue de Chartres did come as somewhat of a relief. 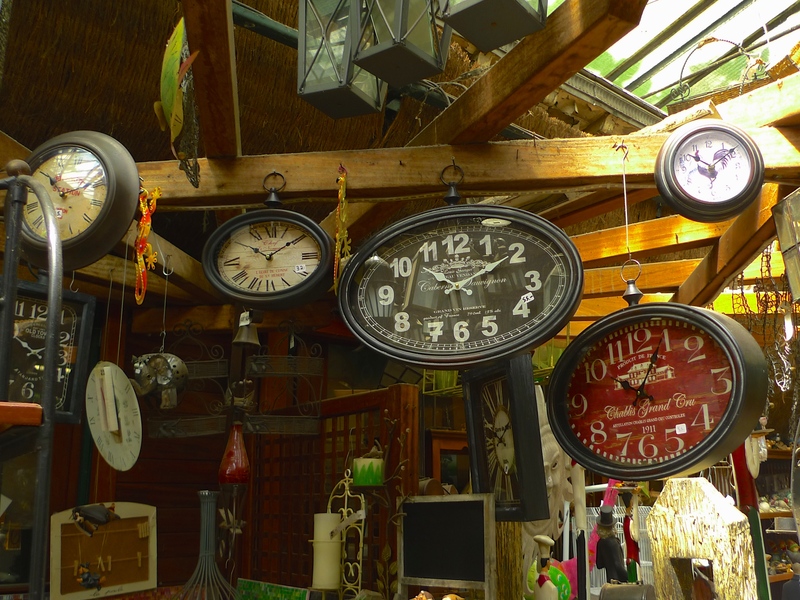 If you can cope with the crowds then the Marché Barbès is well worth a visit and there are certainly some bargains to be had – although I’m still not sure about the watches on sale for €2 each! MY LAST THREE POSTS have covered my recent exploration of the Canal Saint-Denis and its sounds. 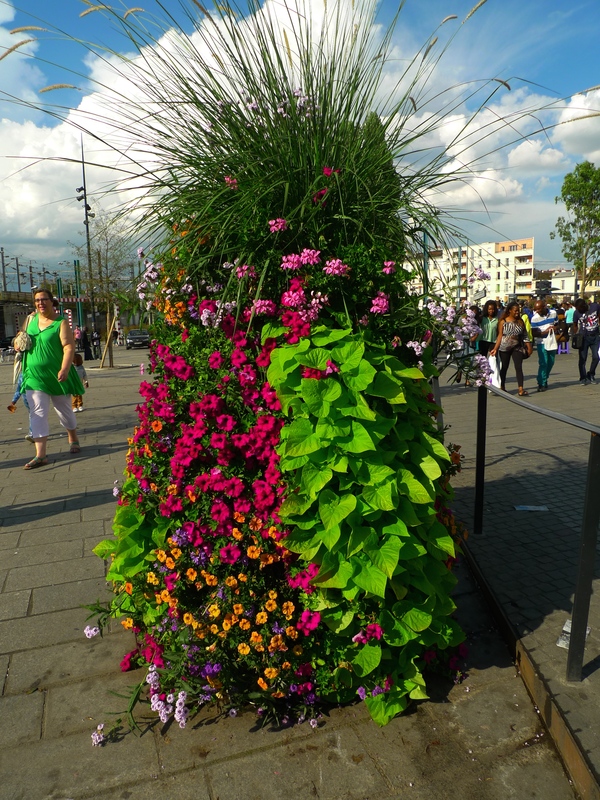 In Part 1, I walked along the western side of the canal from its starting point in the Parc de la Villette to the end of the Quai de la Gironde in the 19th arrondissement of Paris. 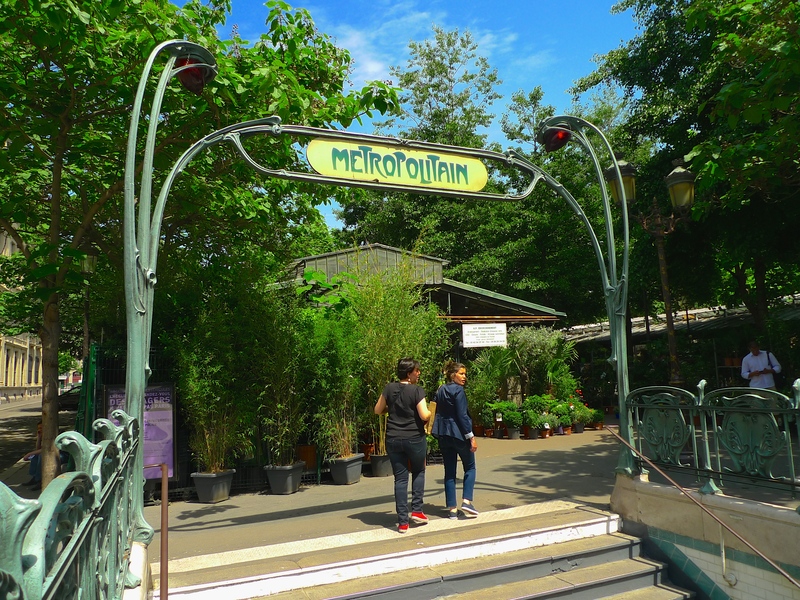 In Part 2, I crossed over the Pont MacDonald, left the Paris city limits, and walked along the eastern side of the canal to the swing bridge, the Pont Tournant du Canal Saint-Denis, in the commune of Aubervilliers. 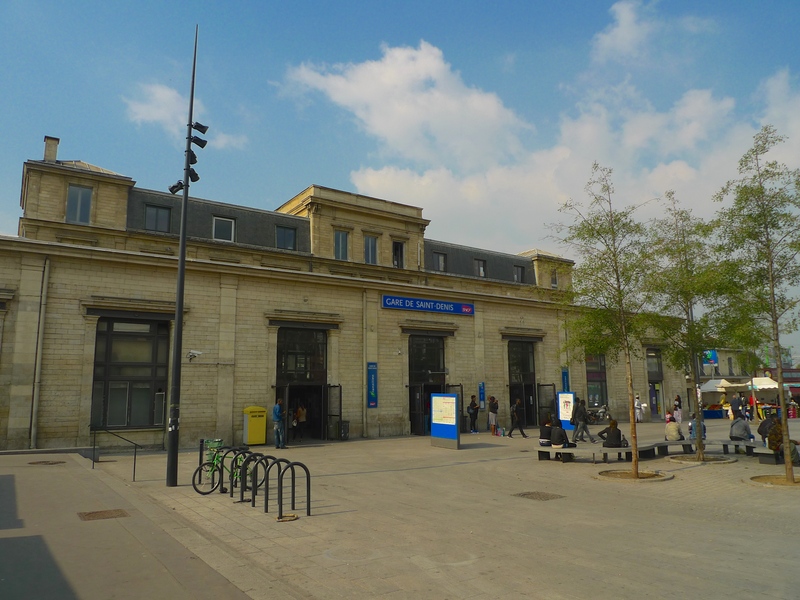 In Part 3, I left Aubervilliers and continued walking along the eastern side of the canal until I reached the heart of Saint-Denis where I had to cross over to the western side again in order to continue to the end of the canal at L’Écluse de la Briche where the canal discharges into la Seine. As I walked along the canal I stopped from time to time to capture the sights and sounds of the canal and I made several detours to look at and to listen to other things that caught my interest. 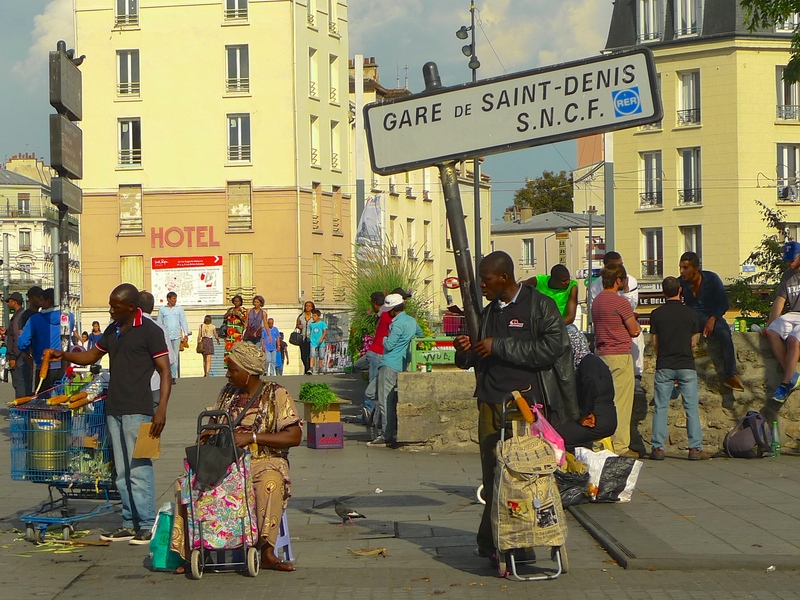 I’ve included some of the sights and sounds I captured along the canal in my previous three posts but now I want to add something else I captured, something that I think captures the very essence of the Canal Saint-Denis. 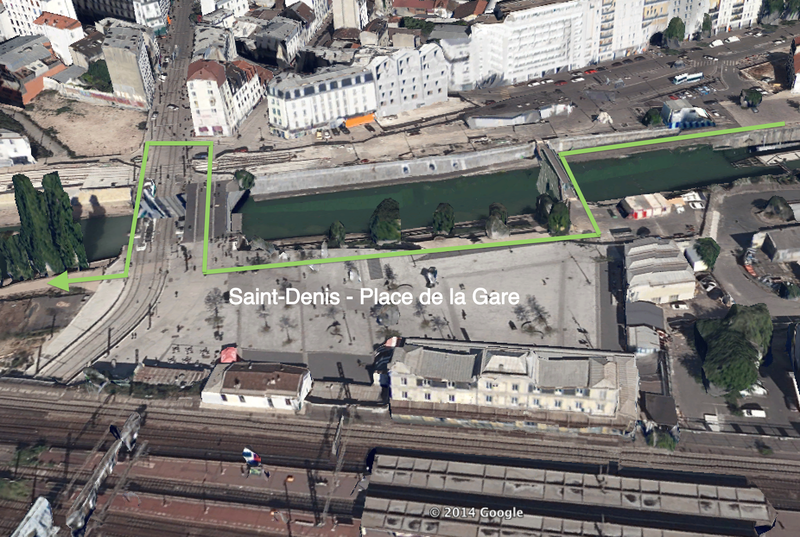 As I passed the penultimate lock on the canal, Lock N°6, L’Écluse Saint-Denis, I discovered that my way was barred because of renovation work to the walls of the quay and so I had to cross over the Passerelle de la Gare to the other side. As I crossed over this footbridge I had no idea that it would be a further hour before I continued my journey along the canal. 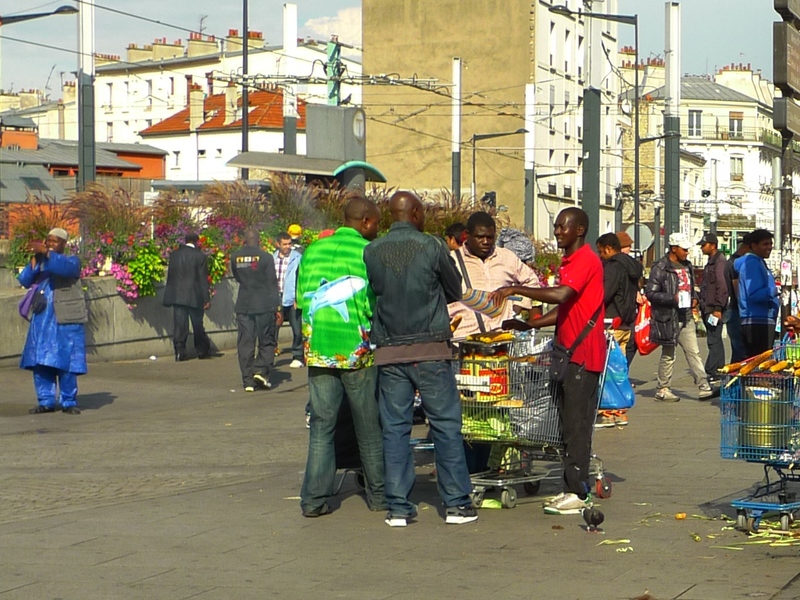 I crossed the footbridge and entered the Place de la Gare, the concourse outside Saint-Denis railway station, when I came upon something completely unexpected and something that occupied me for the next hour or so. 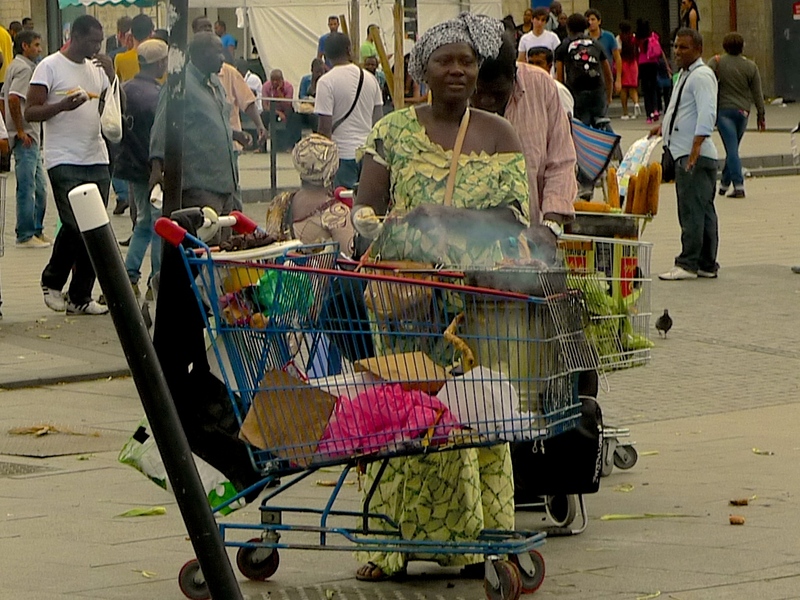 I found that I was in the midst of an African street market complete with its colourful sights and sounds. 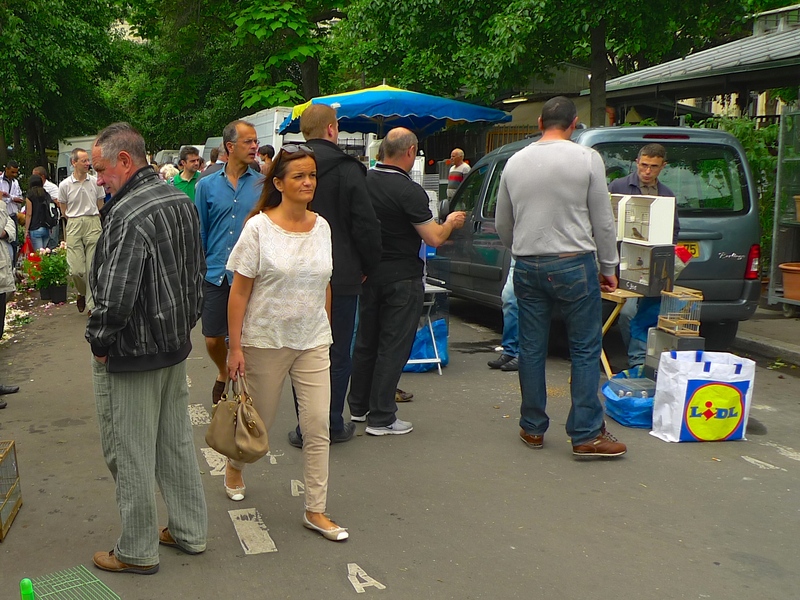 The market stretched across the Place de la Gare and over the Pont de la Gare Saint-Denis but it’s not an official market, on the contrary, it’s an ad hoc and technically illegal market that appears most days of the week. The police though seem to tolerate it, they patrol the area regularly, always in groups of three, whereupon the vendors hastily pack their goods away and wait until the police leave before they get back to work. 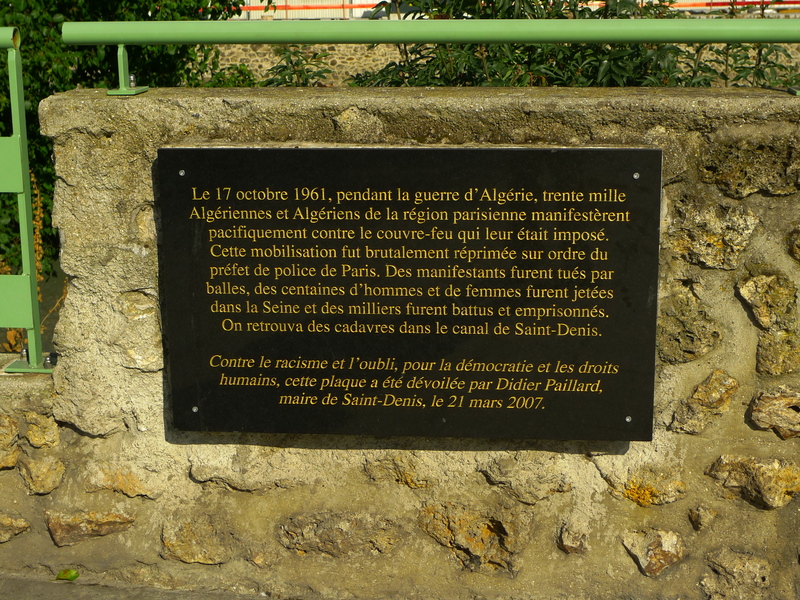 Of course, the police haven’t always been so tolerant and I was reminded of this when I saw a sign attached to lamppost with an alternative name for this space – Place des Victimes du 17 October 1961. October 1961 was a particularly inglorious time for the police as the two memorial plaques I found explain. I’ve referred to these events elsewhere in this blog so here I’ll just leave the plaques to tell their own story. 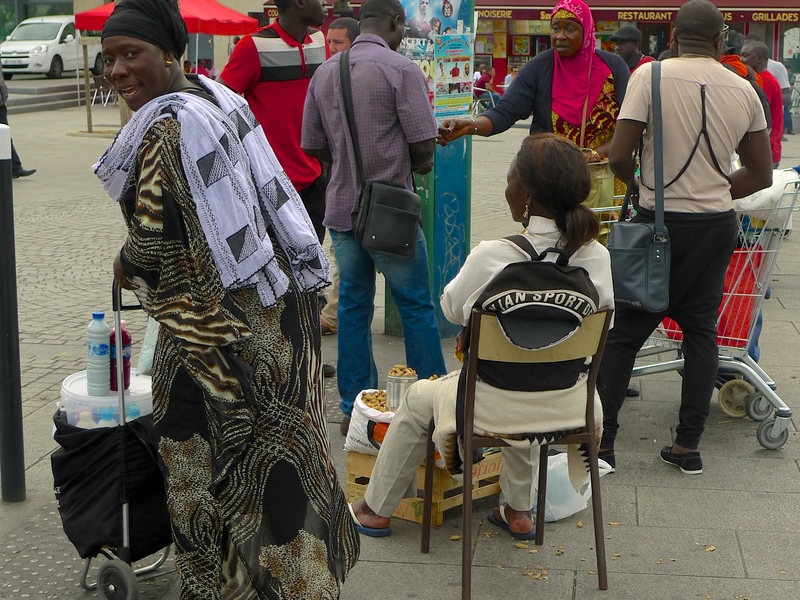 In my walk along the entire length of the Canal Saint-Denis, I photographed many images and recorded many sounds but, for me, it is the sounds of this market that capture the real essence of the Canal Saint-Denis. With a little imagination, I think the contemporary sounds I discovered in the Place de la Gare illustrate some of that history. 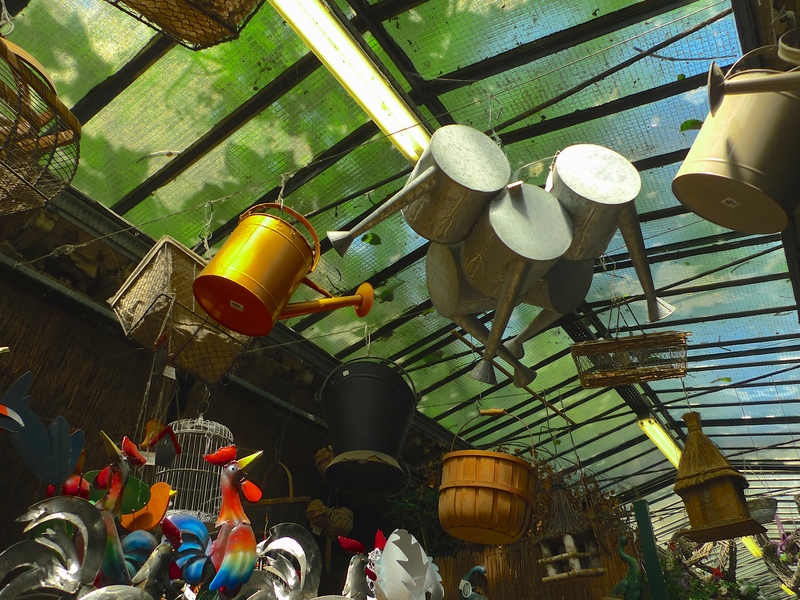 At first glance, it might not be obvious how to connect these sounds with a medieval past but markets and their sounds are nothing new to Saint-Denis or to the surrounding area. 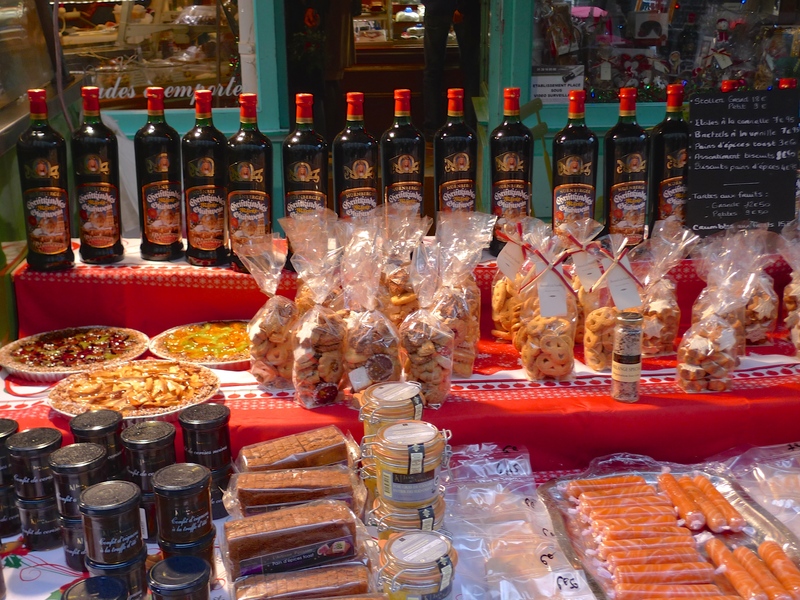 The first market hereabouts, la foire de la Saint-Denis, the Fair of Saint-Denis, dates back to the seventh century when an autumn fair was held beginning on October 9th each year, the anniversary of the martyrdom of Saint-Denis and the date of the annual pilgrimage to his tomb. 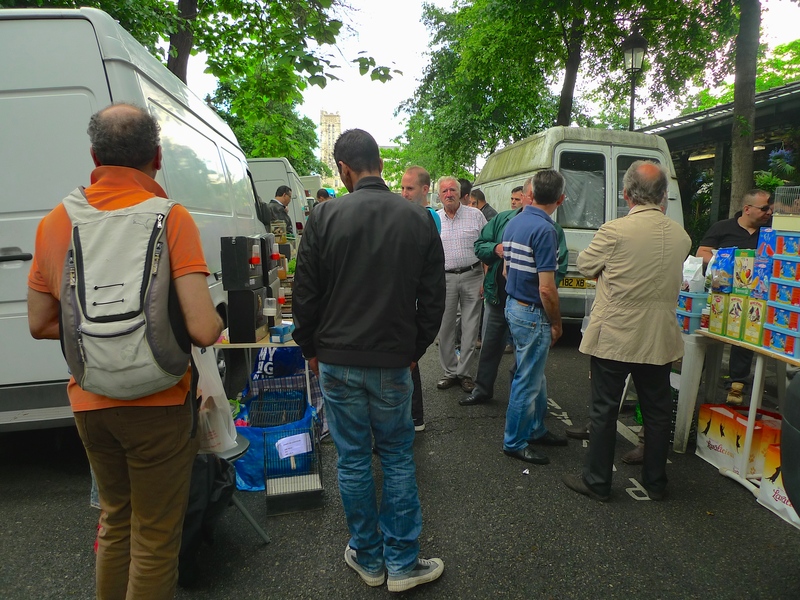 The fair was held at the Place Panetière and in covered markets, but also in the main cemetery of the Abbeye de Saint-Denis. 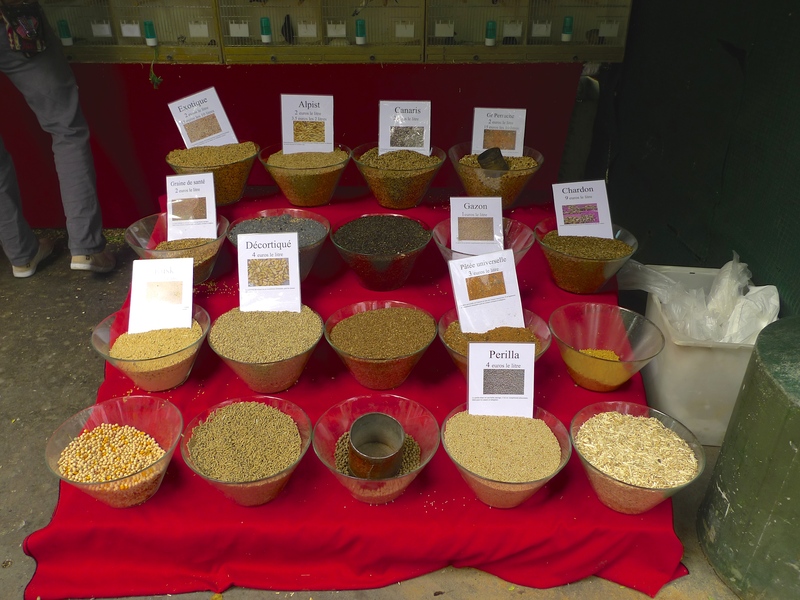 It lasted for seven-weeks, from October 9th to November 29th, Saint Andrew’s Day, and since it was held well after the harvest and during grape-picking it allowed the abbey to sell its grain and surplus wine produced by its extensive vineyards. The subsequent arrival of the Vikings interrupted this annual fair but the monks of Saint-Denis revived it again in 1053 with the Lendit Fair. 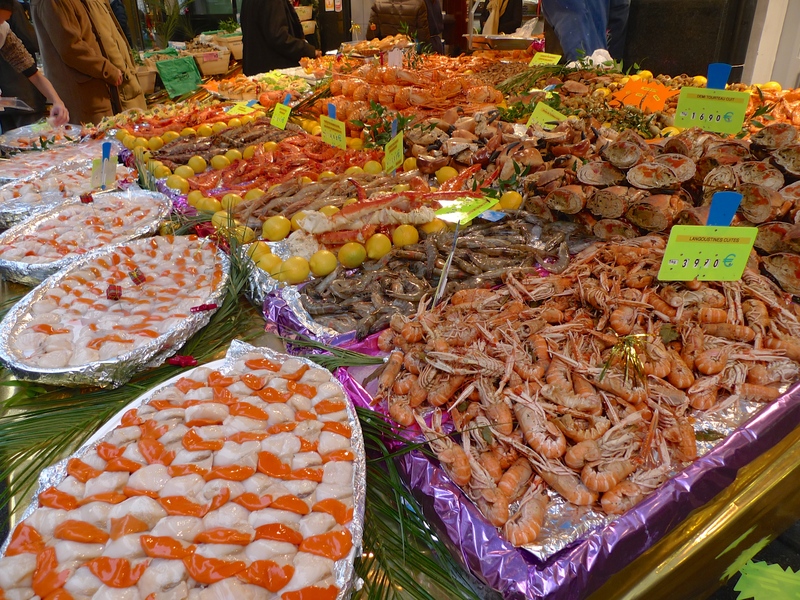 In the early twelfth century, the market was moved to the La Plaine Saint-Denis, halfway between Paris and Saint-Denis, where it began on the second Wednesday in June and lasted until June 23, the eve of the feast of Saint John the Baptist. The market returned to the Place Panetière in 1556. 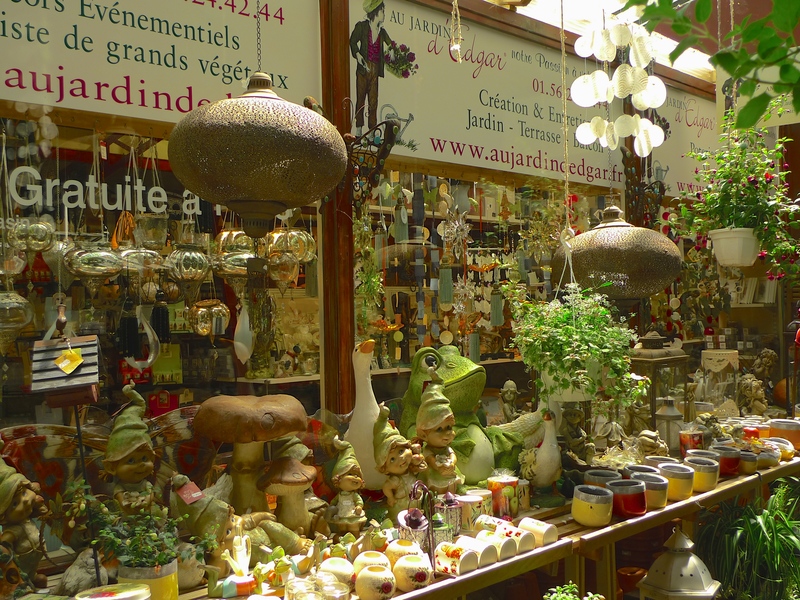 Today, as well as the ad hoc street market in the Place de la Gare, Saint-Denis is well-known for its thriving indoor and street markets clustered around the former Place Panetière, now the Place Victor Hugo. 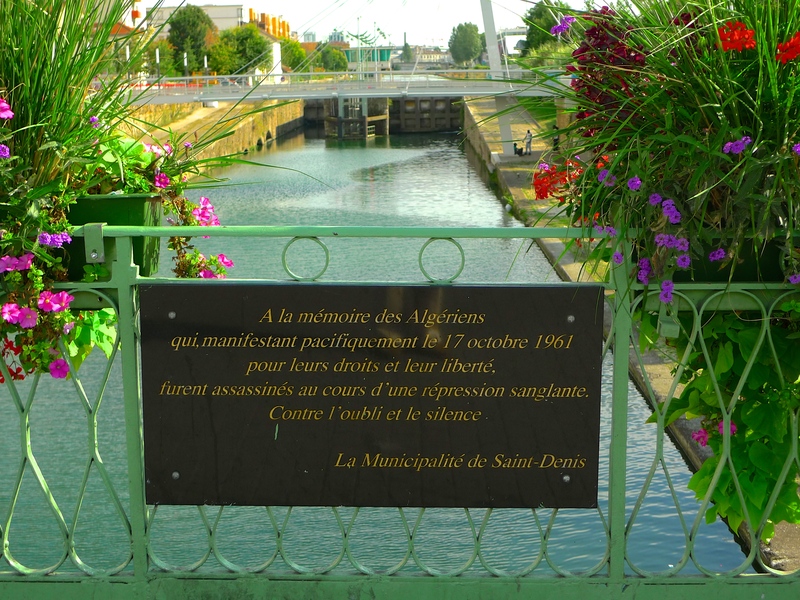 When it was opened in 1821, the Canal Saint-Denis created a ribbon of water cutting through the edge of the 19th arrondissement of Paris and stretching across the agricultural Plaine Saint-Denis and through medieval Aubervilliers as far as Saint-Denis. In its wake came the railway and a wave of industrialisation. The canal became a major artery feeding the burgeoning industries; it became the lifeblood of the communities along its banks. 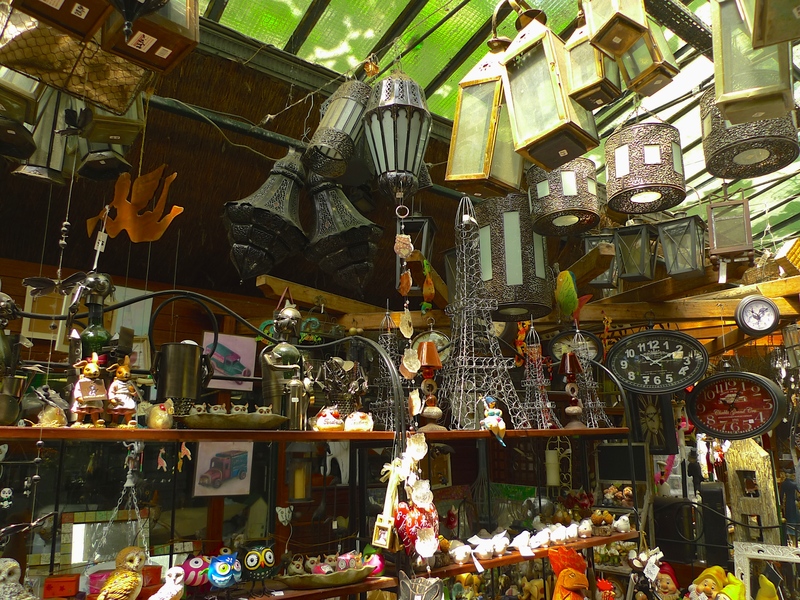 Today, save for the stretch along the Quai de la Gironde in the 19th arrondissement, a walk along the Canal Saint-Denis reveals little of the sonic environment that might have existed in the nineteenth century. Of course, barges still pass up and down the canal and trains cross it, there is mechanical activity – trucks take on loads of ready-mix concrete and JCB’s load and off-load construction materials, but there is little of the bustle of human activity that would have characterised the canal during the hundred years from the mid-nineteenth to the mid-twentieth century. The sounds I came upon in the Place de la Gare reminded me that this canal, in its hey-day, would have had a pulse reflecting the heartbeat of the human communities along its banks. After industrialisation came de-industrialisation along with its bedfellows, increased unemployment, increased poverty, the flight of the wealthiest part of the population and increased immigration. 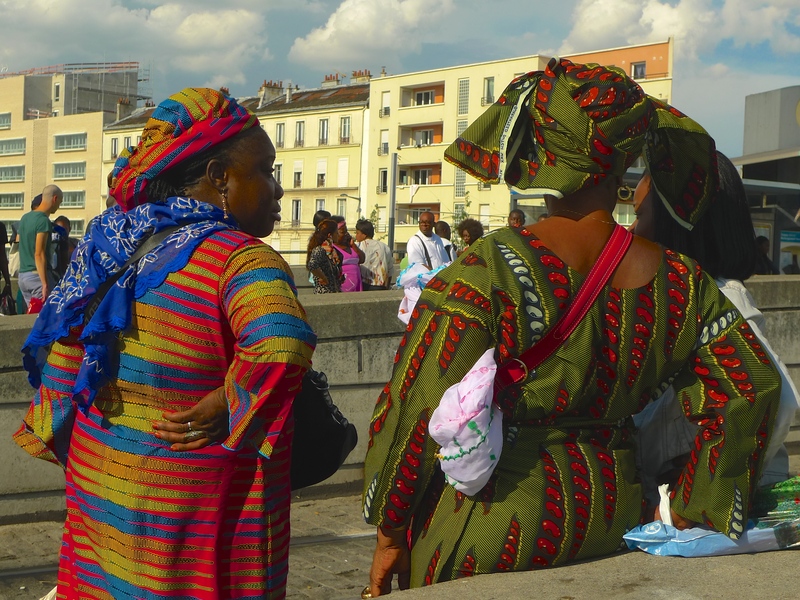 Issues around immigration seem to make big headlines today but immigration is nothing new along the Canal Saint-Denis. Nineteenth century industrialisation saw waves of immigrants arrive just as de-industrialisation has. 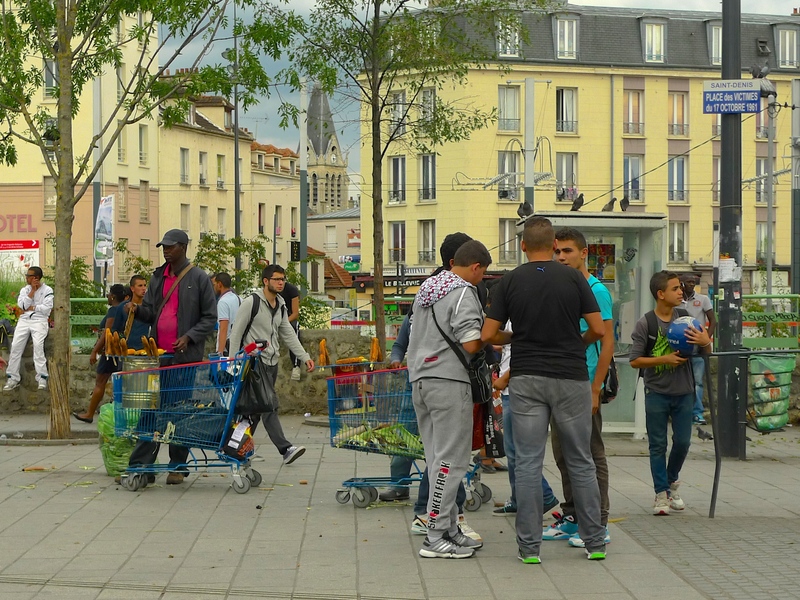 The sounds I found in the Place de la Gare seemed to me to reflect the ebb and flow of these populations. I’ve said that the sounds I happened upon in the Place de la Gare were sounds that for me at least captured the very essence of the Canal Saint-Denis. Out of context they are simply the sounds of yet another street market but in the context that they are the sounds of human activity lying alongside and straddling the Canal Saint-Denis they seem to me to represent a series of footprints stretching from the present day to the distant past. 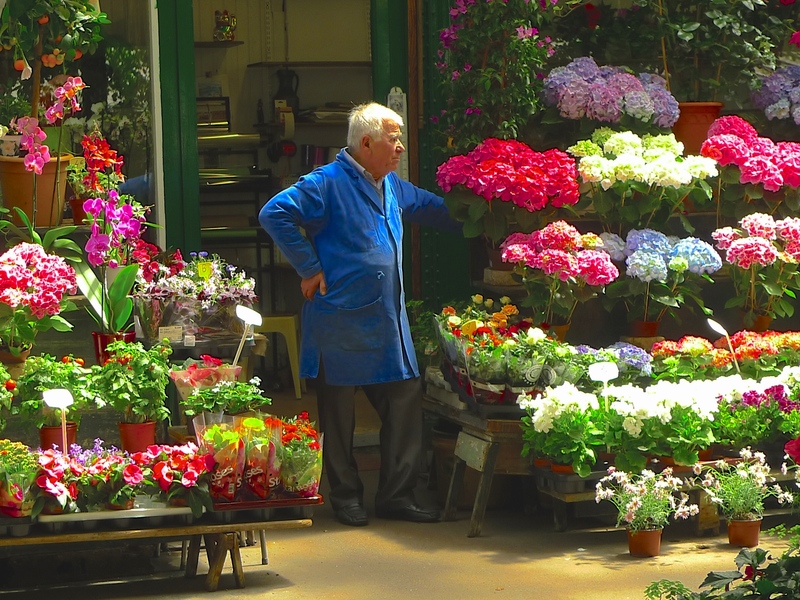 The essence of the Canal Saint-Denis surely rests with its location, its history and the activity on and around it. 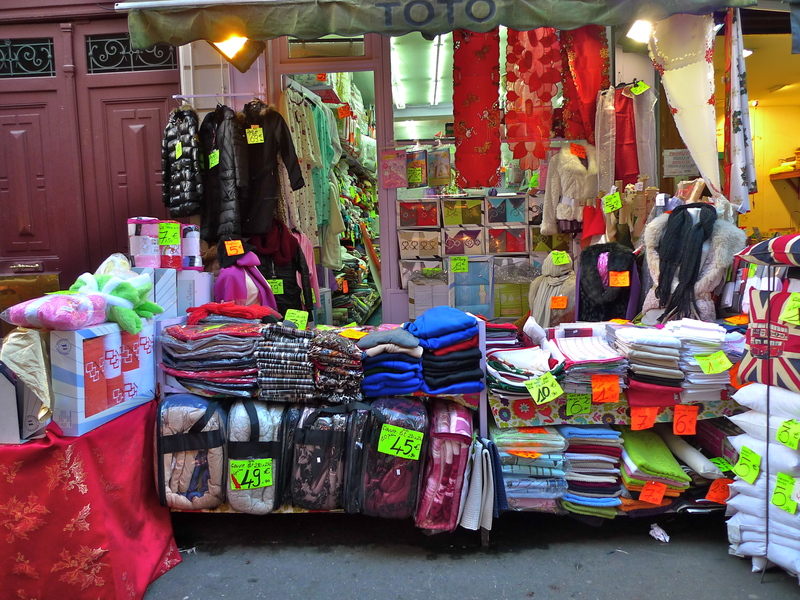 The sounds of this ad hoc market in the Place de la Gare with accents from the Maghreb, sub-Saharan Africa and elsewhere may represent this stretch of the Canal Saint-Denis today but I would argue that they are also a reflection of the medieval markets in the Plaine Saint-Denis which themselves were not attended exclusively by the French. The modern-day sounds I think also represent a similar heartbeat to that which might have been found alongside the canal at the height of industrialisation – bustling activity against a background of competing accents. The period of de-industrialisation, of course, is to some extent represented by the very people I found in the Place de la Gare. The one piece of history that is perhaps not represented by these sounds is the retrieval of the dead bodies from the canal in October 1961. Maybe that’s appropriate though because I suspect that they would have been treated with a respectful silence. In my exploration of the Canal Saint-Denis I recorded many sounds all of which are a faithful record of the canal as it is today. But, for me, none of them conjure up as much of the essence of the canal as the sounds in the Place de la Gare. 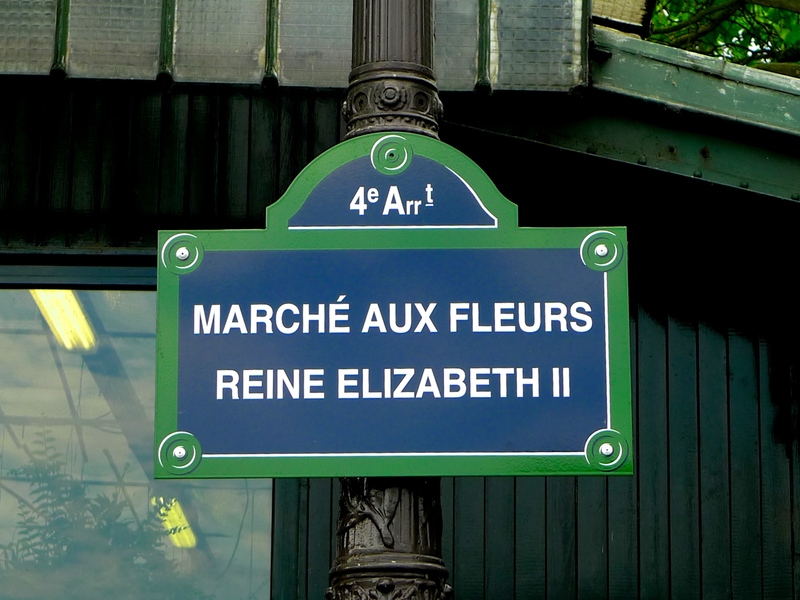 IN MY PREVIOUS POST I recounted how I went to the Marché aux Fleurs last Saturday shortly after the visit by Queen Elizabeth II and how the market had been renamed in her honour as the Marché aux Fleurs Reine Elizabeth II. 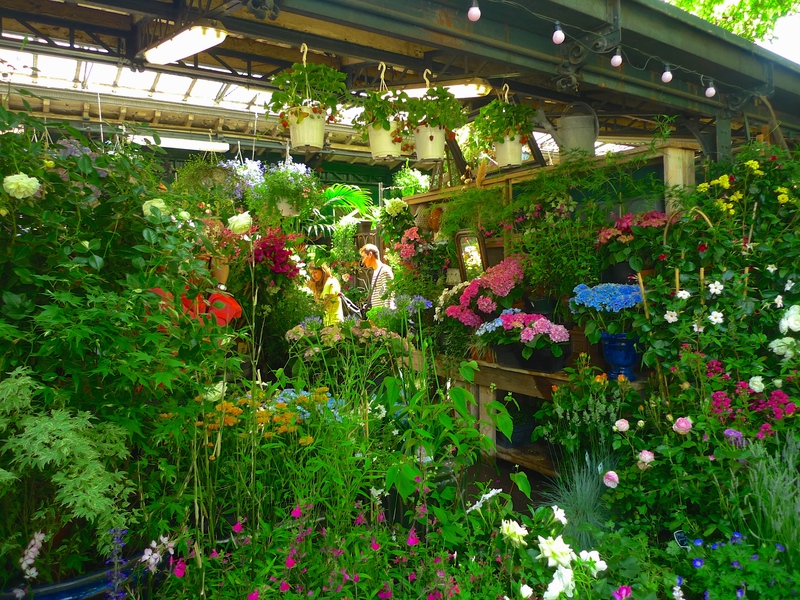 The next day I returned to this flower market to witness its transformation into the Marché aux Oiseaux, a bird market. 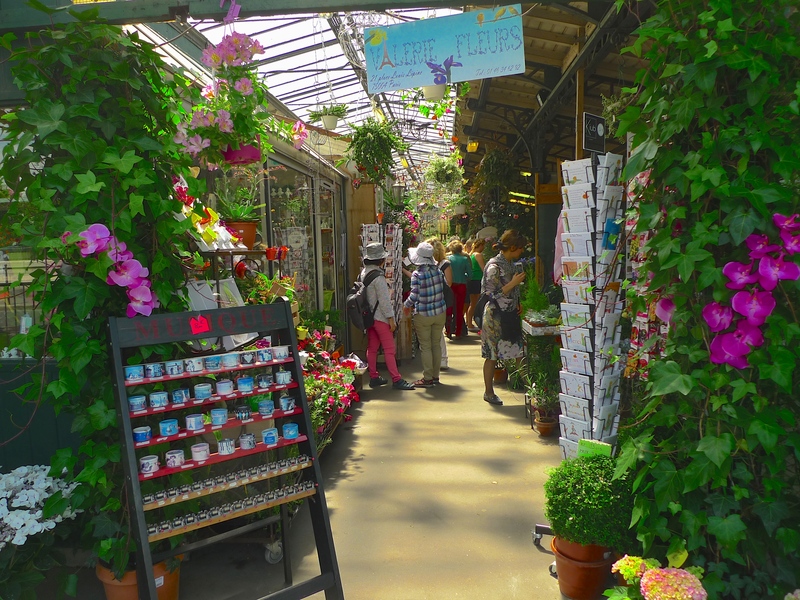 The main part of the Marché aux Fleurs comprises two iron pavilions filled with a cornucopia of plants, shrubs, flowers and garden accessories. 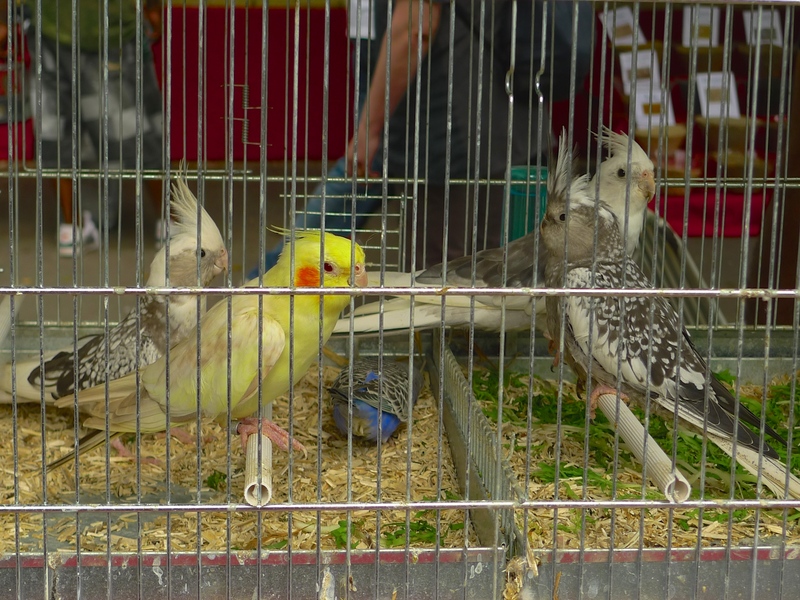 But on Sundays the road between the two pavilions is taken over by temporary stalls selling a wide variety of birds, from the rare and exotic to the more prosaic, together with a selection bird related accessories. 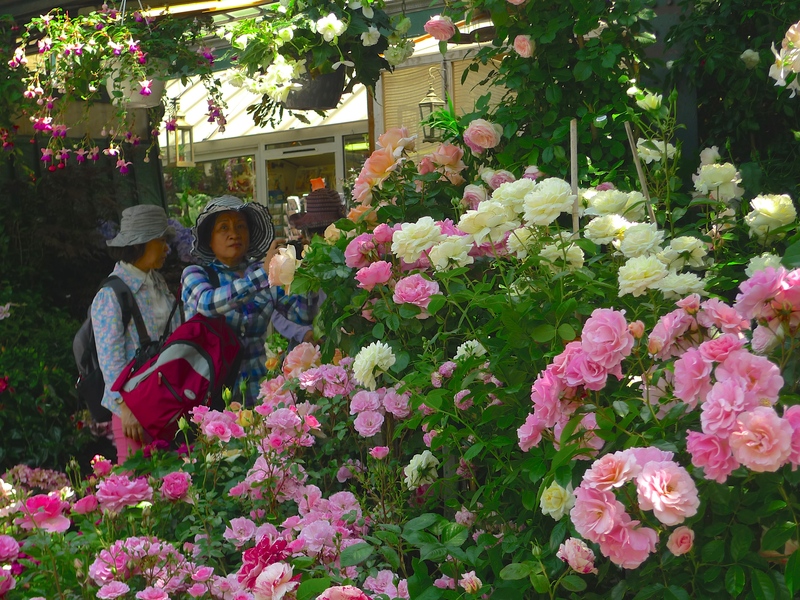 When I went there on Sunday, the road between the iron pavilions of the flower market was awash with people who, as with most markets, obviously come here not only to buy and sell but also to meet friends and other like-minded people. 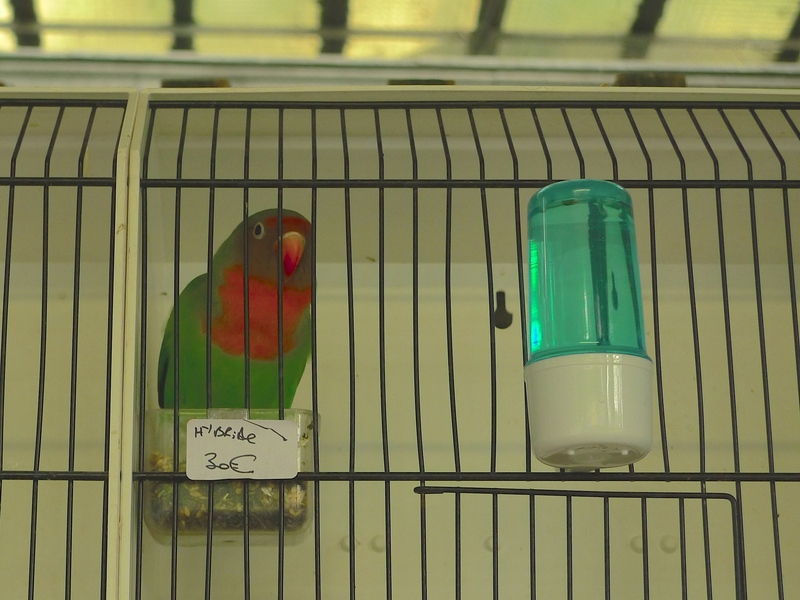 I found the soundscape in the Marché aux Oiseaux fascinating – an intriguing interweaving of sounds from two different species in close proximity, the avian and the human, with both speaking to themselves but not to each other. 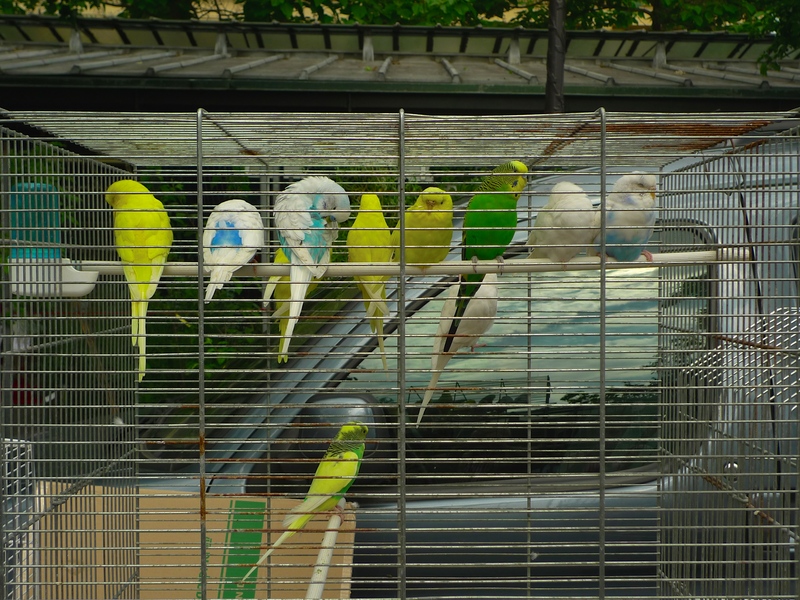 It seemed as though the air was filled with a cacophony of conversation. 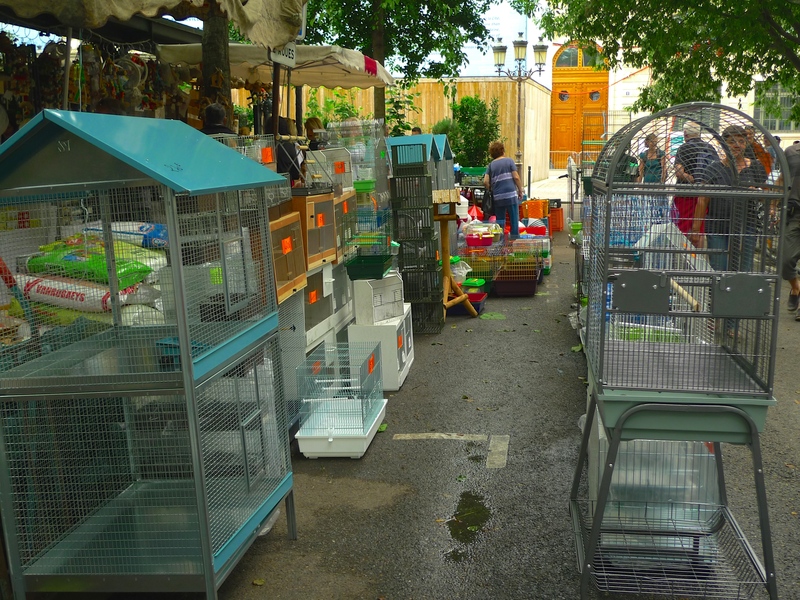 At the end of my Sunday morning walk through the Marché aux Oiseaux this cacophony of avian and human conversation seemed to be reconciled by the unifying, man-made sounds of the distant bells of the Cathédrale Notre-Dame de Paris drifting across the market on the warm, summer air. 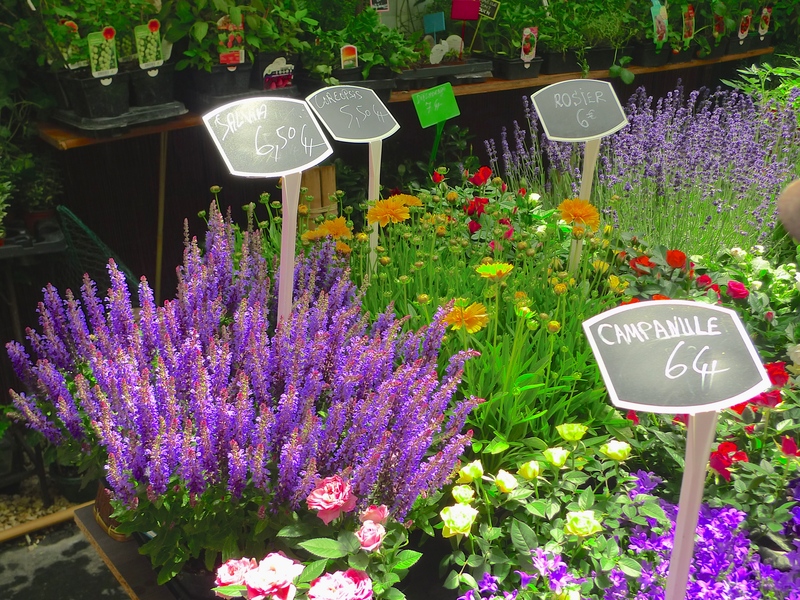 THE FRENCH SELDOM name places after living people but in the case of the Marché aux Fleurs in Paris they’ve made an exception. 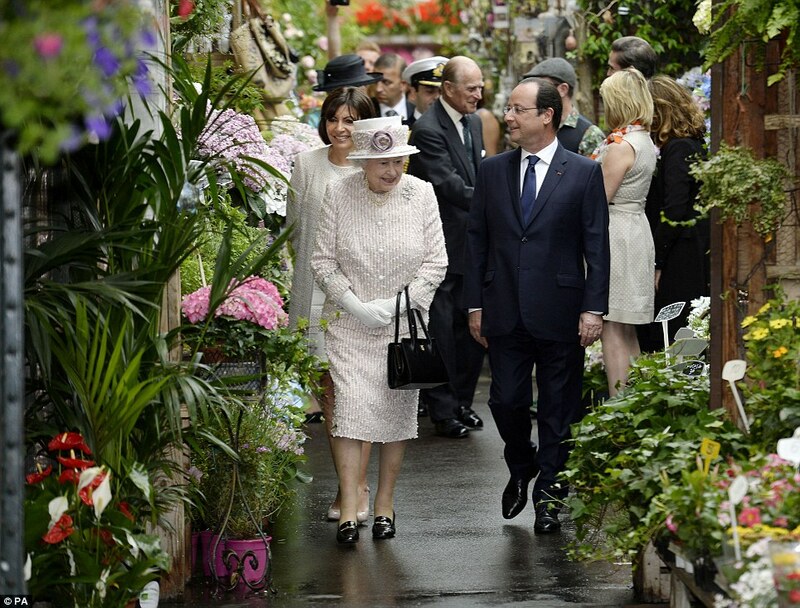 Last Saturday, at the end of a three-day State Visit to France which included attending the 70th anniversary commemoration of the D-Day landings in Normandy, Queen Elizabeth II, accompanied by the Duke of Edinburgh, Anne Hidalgo, the newly elected Mayor of Paris, and the French Président, François Hollande, visited the Marché aux Fleurs, which has been renamed the Marché aux Fleurs Reine Elizabeth II in her honour. 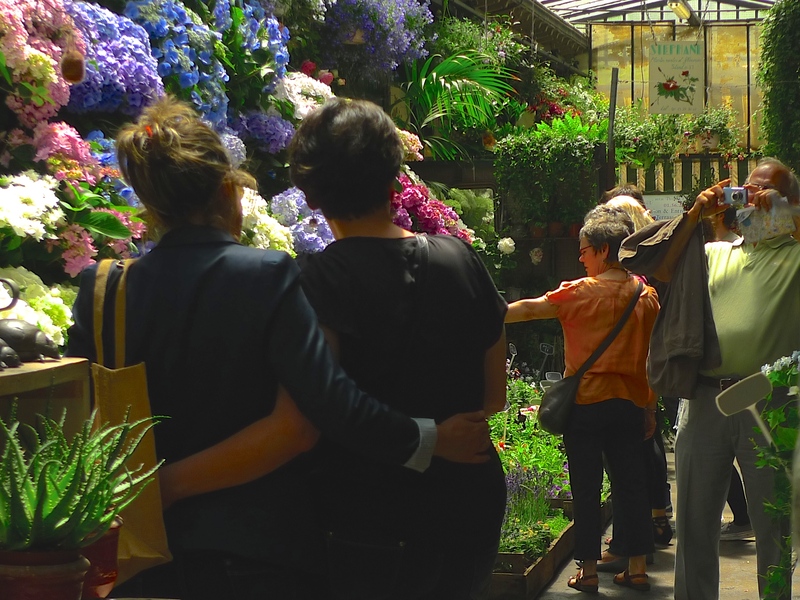 It’s quite a while since I’ve been to the Marché aux Fleurs so I thought I would go along on Saturday and reaquaint myself with this renowned Parisian flower market. 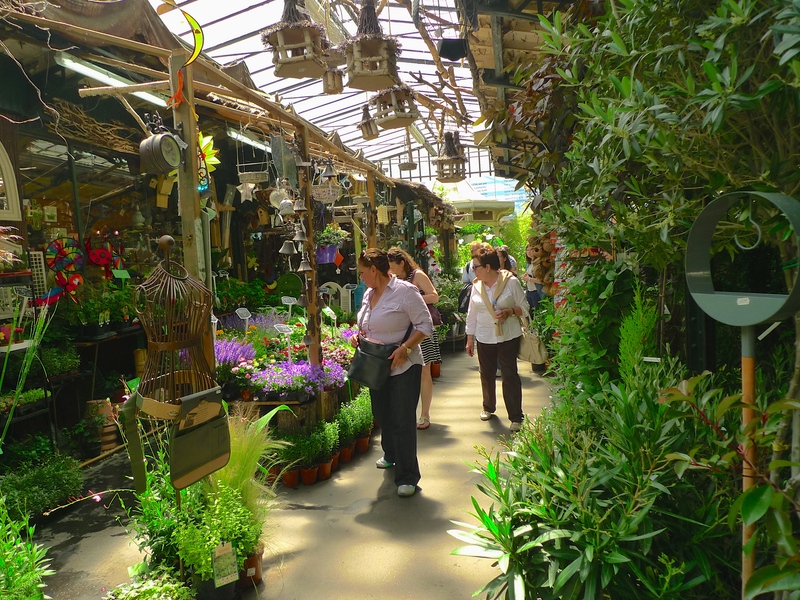 Close to the Cathédrale Notre-Dame de Paris and bordering La Seine, the Marché aux Fleurs, in the Place Louis Lépine, has been here since 1808. 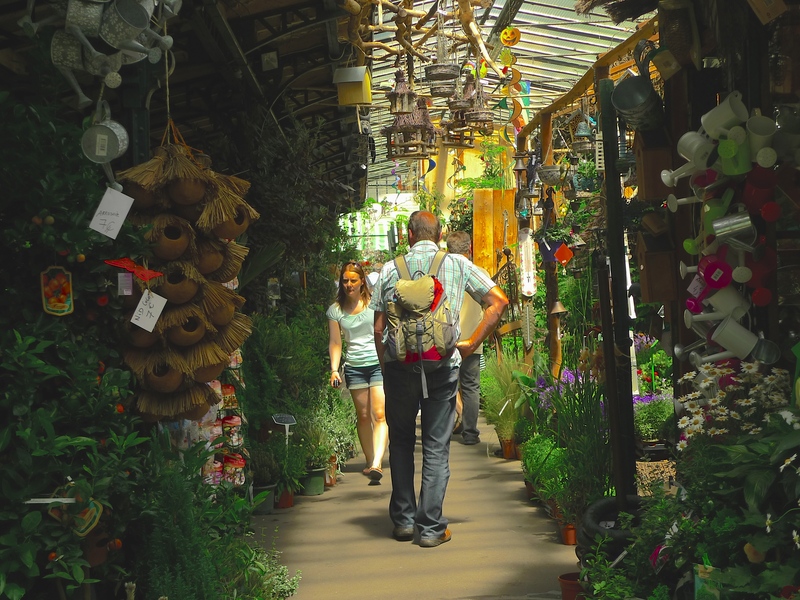 Housed in iron pavilions each with a glass roof, the market offers a wide range of flowers, plants, shrubs and garden accessories as well as other hidden treasures. I arrived at the market shortly after the Queen had left and so, on this beautiful sunny day, I was able to walk around unencumbered by the restrictions surrounding Royal visits. I spoke to some of the stallholders and they seemed delighted with the Queen’s visit and with the new name of the market. I also came upon two young ladies clutching an iPhone who were particularly excited since they had just found a photograph of themselves meeting the Queen on a French Television website. Not everyone is happy with the new name though. Some on the Left said it was ‘ridiculous’ that an unelected monarch was getting such an accolade in a republic that executed most of its royals more than 200 years ago. 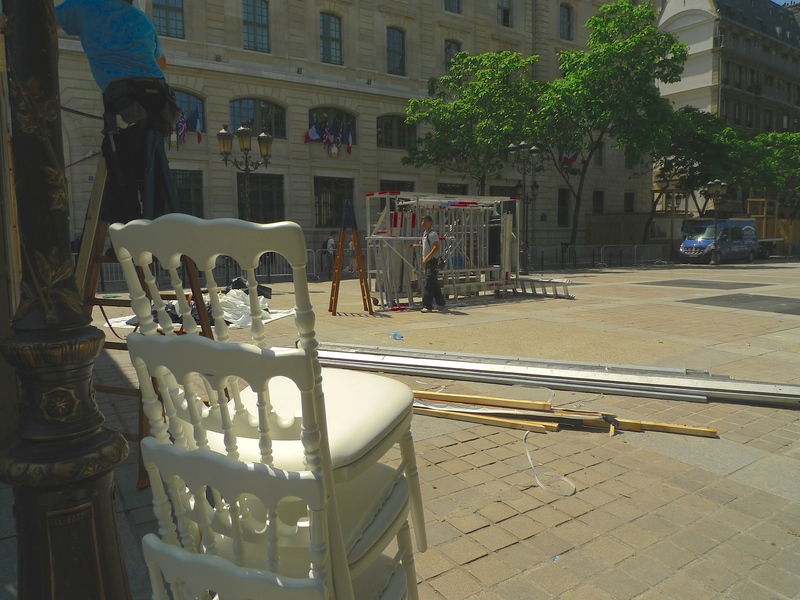 At the entrance to the market next to the Paris Préfecture de Police, where earlier the Queen had unveiled a street sign with the new name of the market, I discovered that work was well underway deconstructing the paraphernalia that had been erected for the unveiling ceremony. The four white, padded chairs that moments ago had hosted distinguished bottoms were now stacked on top of each other looking rather forlorn as if contemplating their fate. 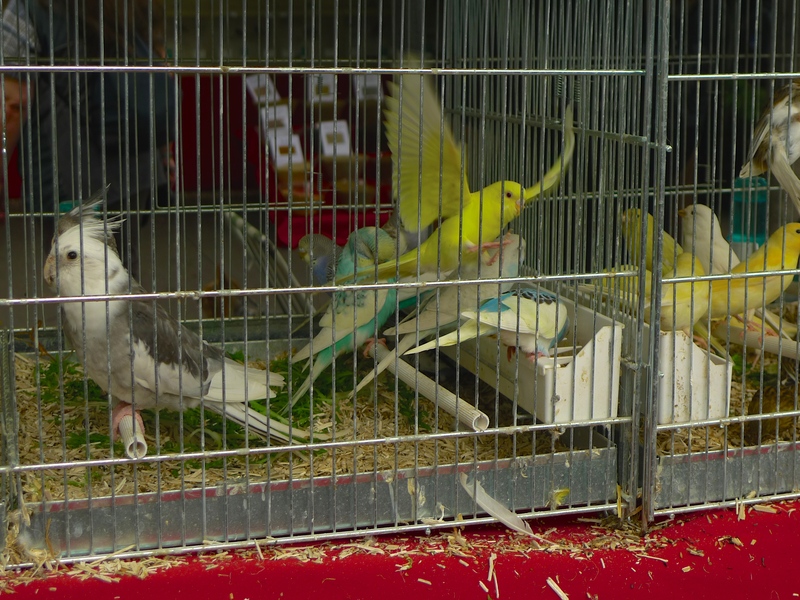 In my next blog piece I will reveal what happens to the Marché aux Fleurs on Sunday mornings when the flowers and plants take a back seat and the market is transformed into the Marché aux Oiseaux, the bird market. 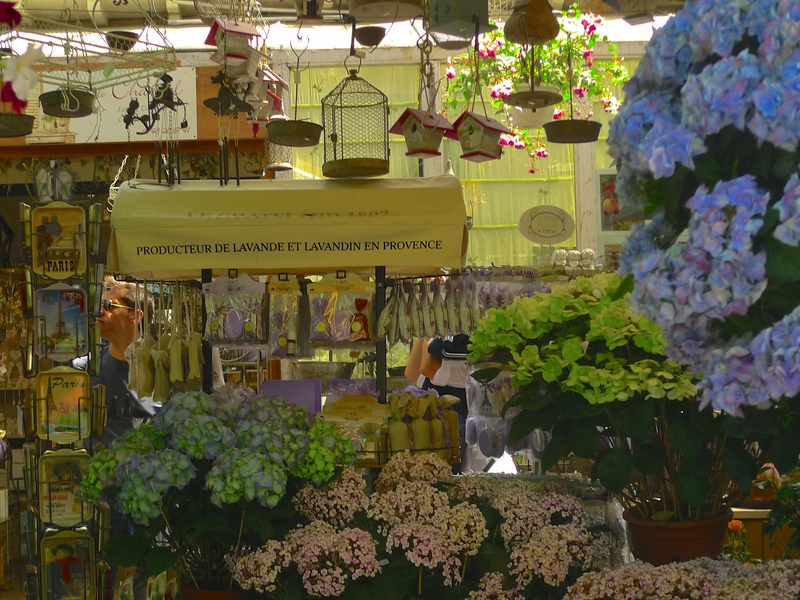 In the meantime, here are some more sights of the Marché aux Fleurs Reine Elizabeth II.